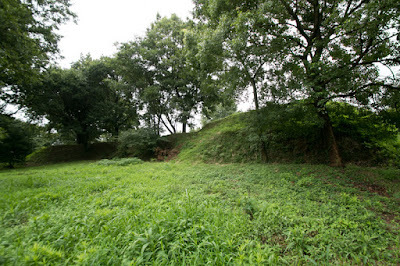 Uto castle (宇土城) consists two castles only apart from 500 meter near the center of Uto city. 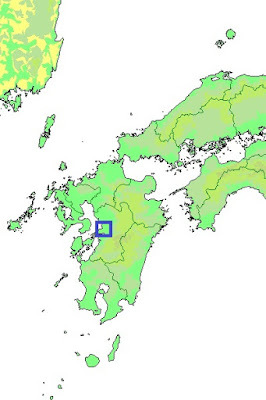 Uto area places in the root of Uto peninsula at the center of reverse C shaped Higo province (Kumamoto prefecture). 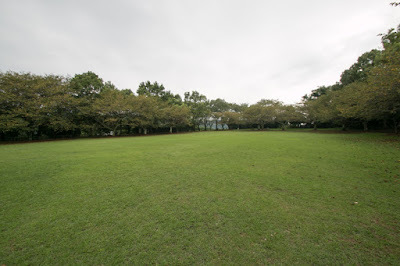 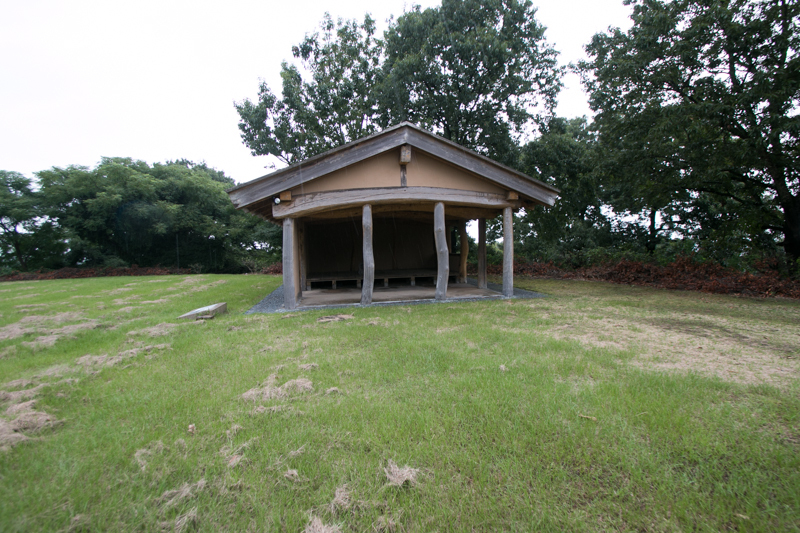 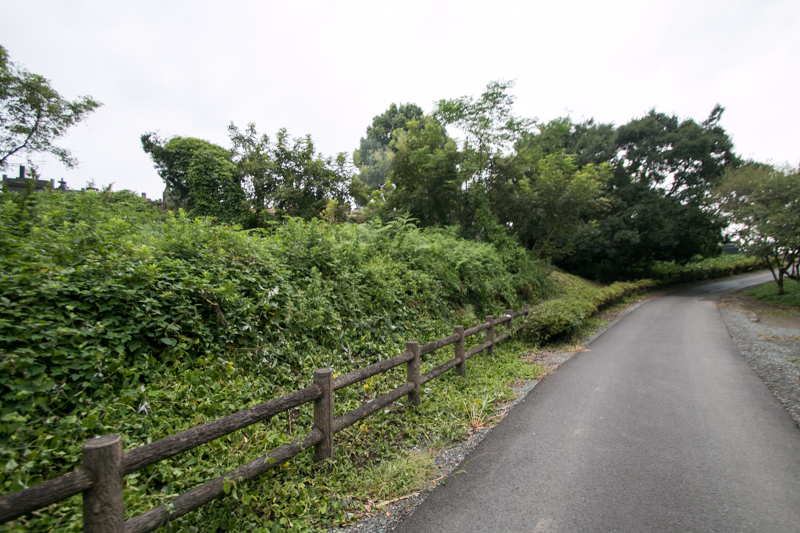 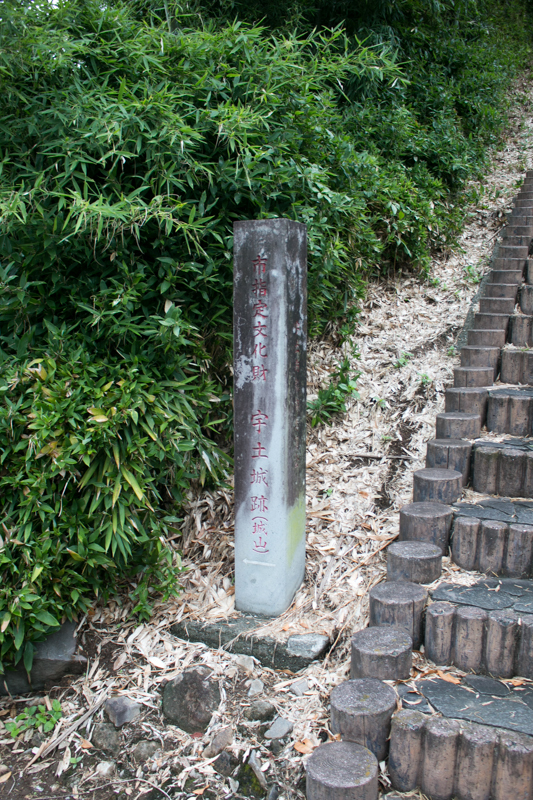 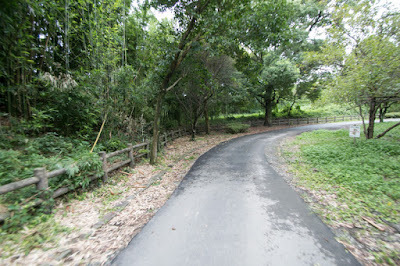 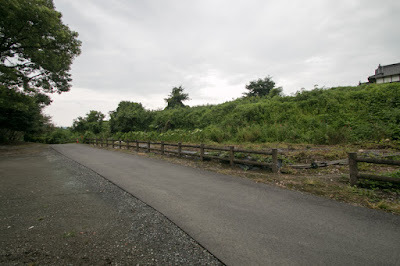 This area had been an important point of communication at western half of Kyushu island which connects land transportation between north part of the island such as Fukuoka area, south part from Kagoshima area, and Amakusa island at westward. In addition to this, Uto area is also an important place of marine transportation at Ariake sea of northwest direction and Yatsushiro sea at southwest direction, and also outer East China sea. 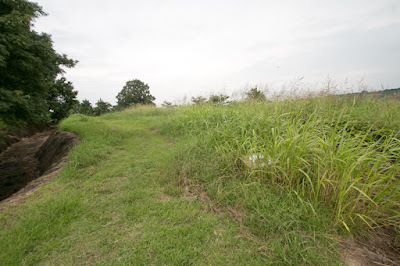 Because of this geographical condition, Uto area had been the target of struggle between surrounding lords. 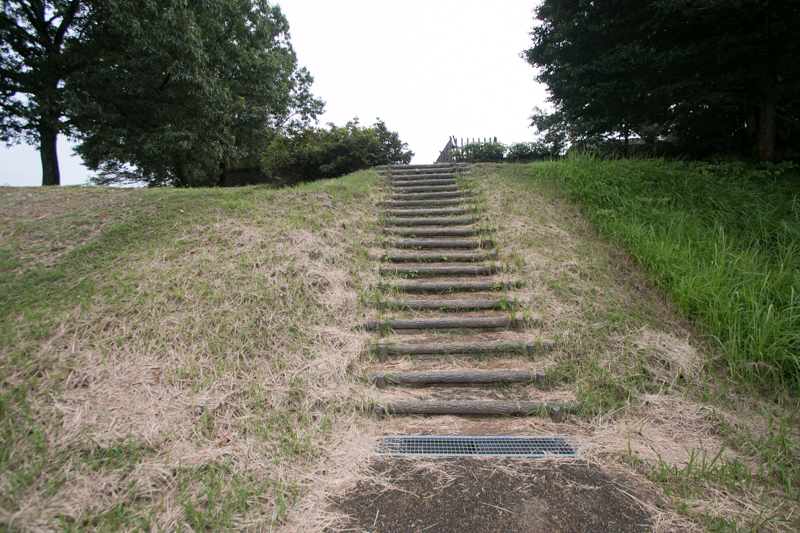 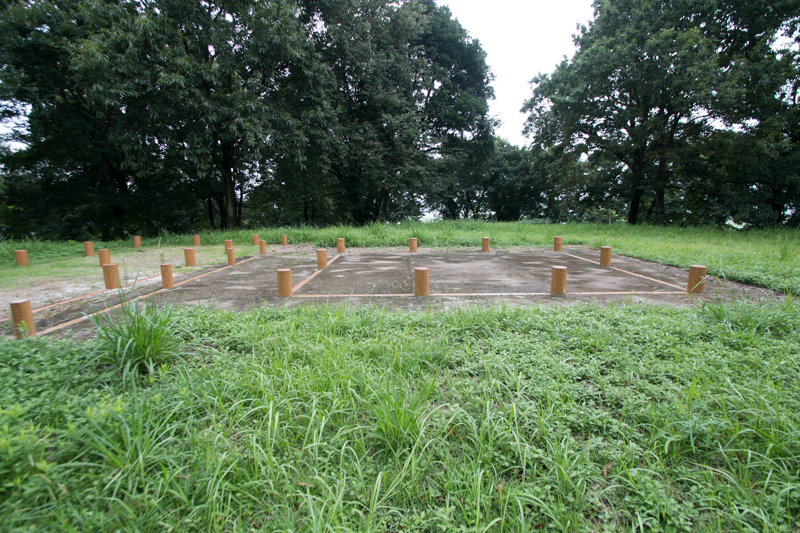 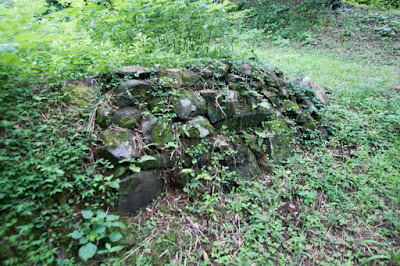 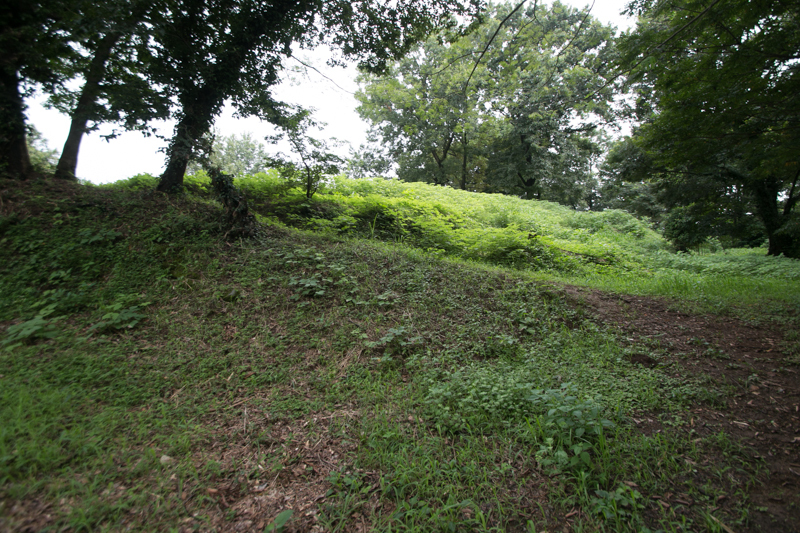 At first, old Uto castle was built by local lord Uto clan on the hill at Nishiokadai area, at the west of current Uto castle in 14th century. 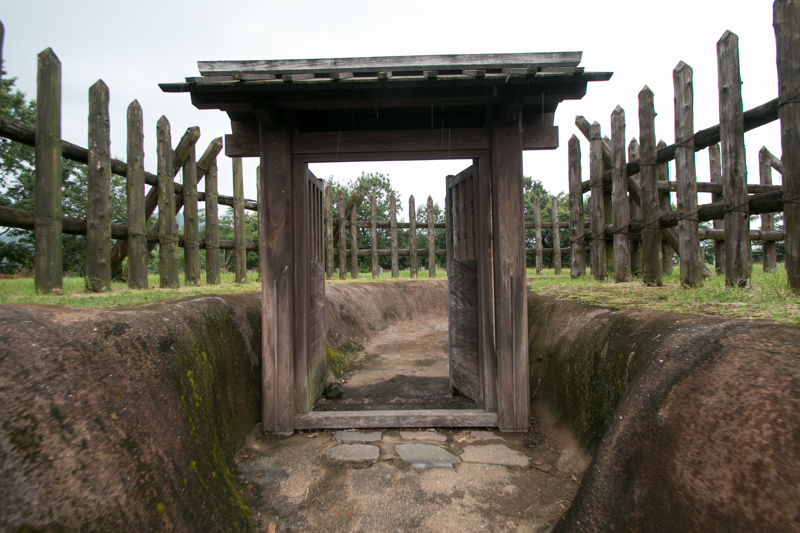 Uto clan was a branch family of Kikuchi clan, which was the traditional family of Higo province. Kikuchi clan was known as a main supporter of Emperor Godaigo side at the conflict against Muromachi Shogunate in 14th century, and Uto clan also worked as an Emperor side army. 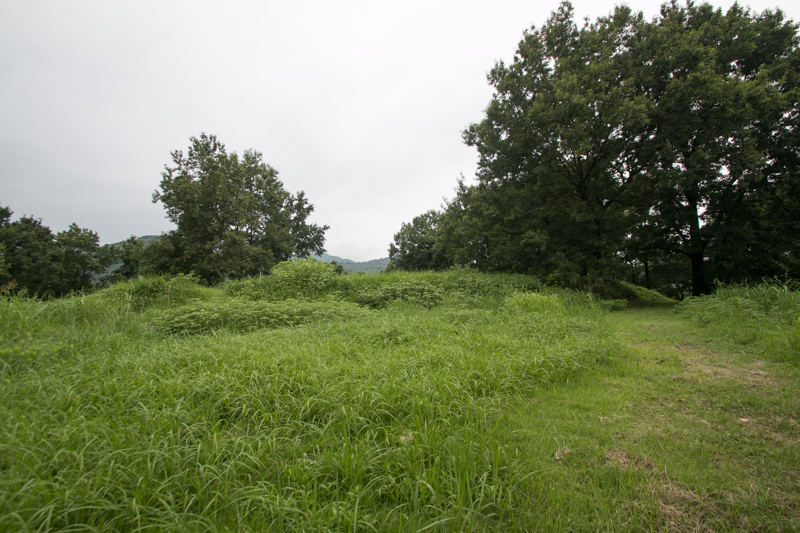 Later Uto clan grew their power and challenged to their main family Kikuchi clan, but in 1503 Tamemitsu Uto (?-1503), the leader of Uto clan was defeated by Kikuchi clan then Uto clan once extinguished. Since then Uto castle had been a vacant castle, but later Nawa clan which had been the lord of Minamata castle but was expelled by Sagara clan at Hitoyoshi castle escaped to Uto area and became the lord of Uto castle. 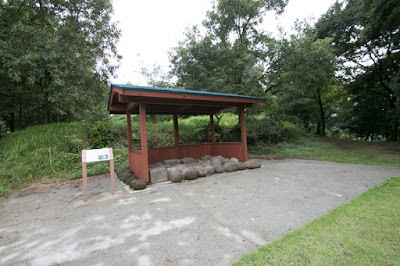 Nawa clan was originally a local merchant of Hoki province (western part of Shimane prefecture), and in 14th century, Nagatoshi Nawa (?-1336) who assisted the escape of Emperor Godaigo (1288-1339) exiled to Oki island and bravely fought at the battle of Senjyosen mountain. At the conflict against Muromachi Shogunate, Nagatoshi participated in many battles along with Masashige Kusunoki (1294-1336), but was finally defeated by Muromachi Shogunate army and died in the battle. 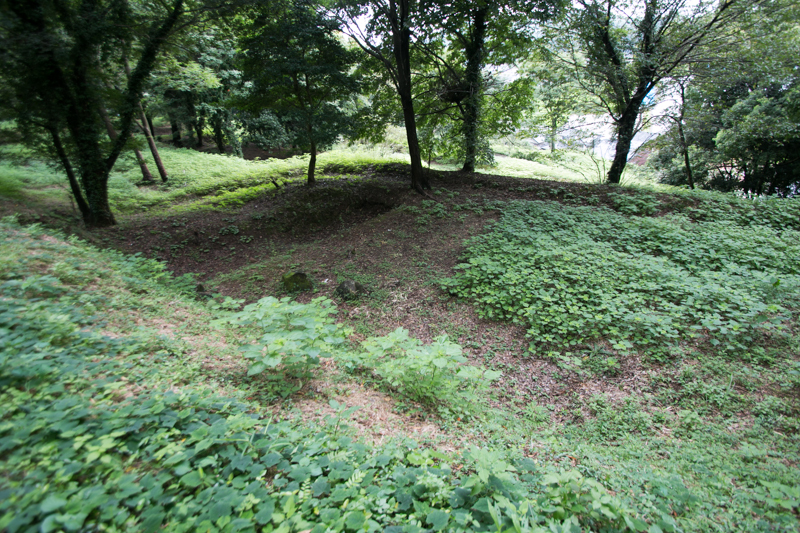 Nawa clan moved to Yatsushiro area which was given to them by Emperor Godaigo and continued to fight as Emperor side, but finally surrendered to Muromachi Shogunate at the end of 14th century. 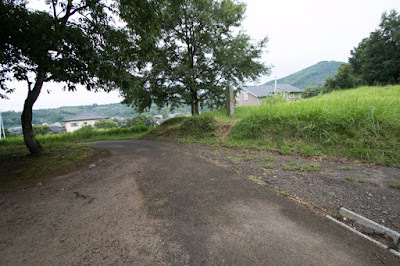 But because of internal conflicts Nawa clan lost their power and finally was pushed out by Sagara clan from Yatsushiro area. 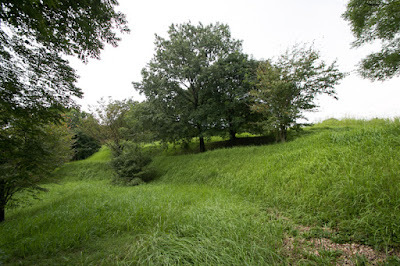 Nawa clan lost Yatsushiro castle stayed at Uto castle improved Uto castle as their residence. Old Uto castle stands at two peak hill like a shape of the back of two humped camel. The east peak was the main area of the castle called as Senjyojiki, which was roughly a 60 meter long square shaped area. 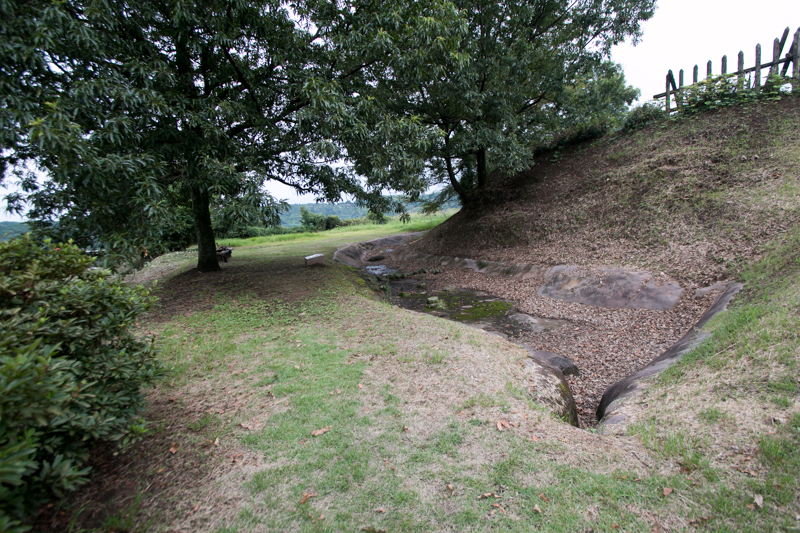 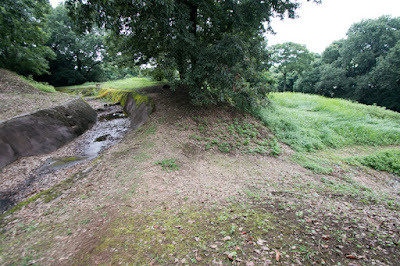 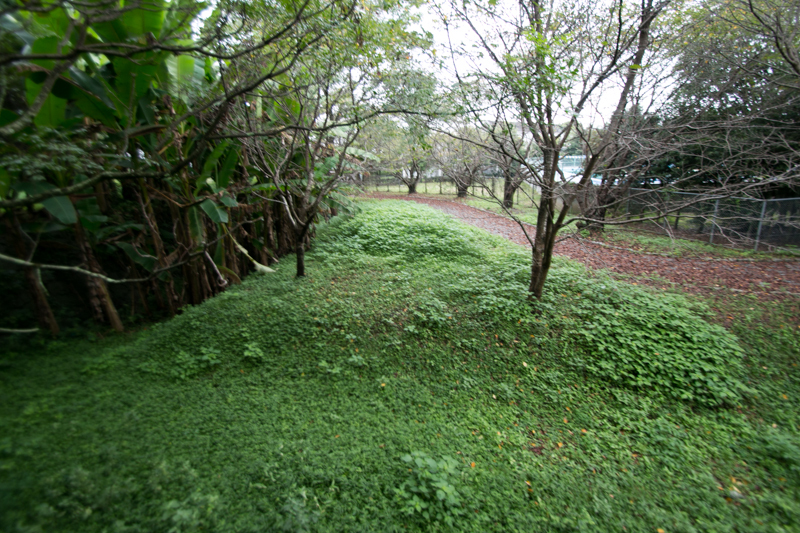 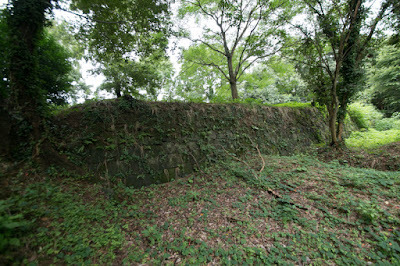 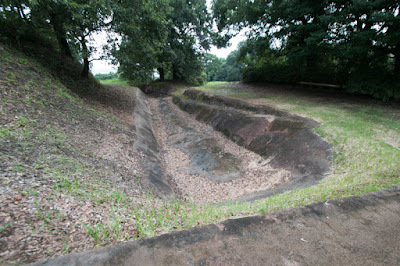 This central area was surrounded by dry moat, and there were pair of vertical dry moat at the slope to obstruct horizontal movement of enemies. 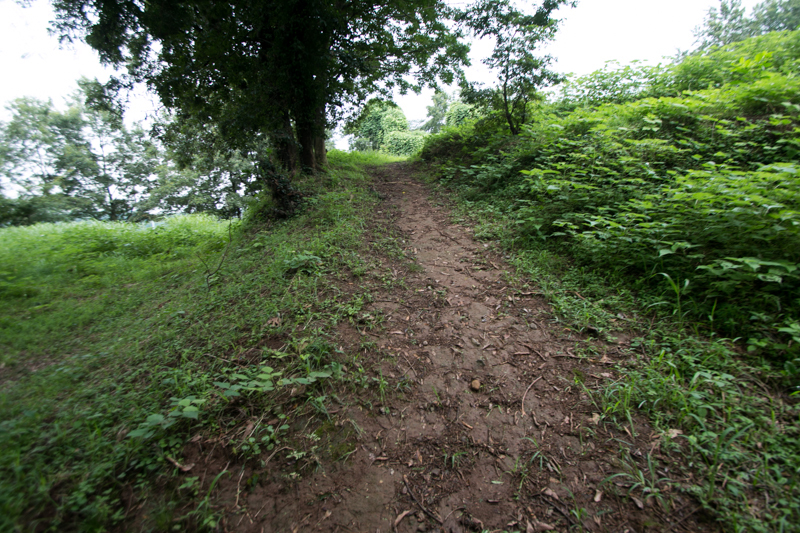 There was a narrow path with a gate as a entrance of this area, and a large residence of the lord might be built. 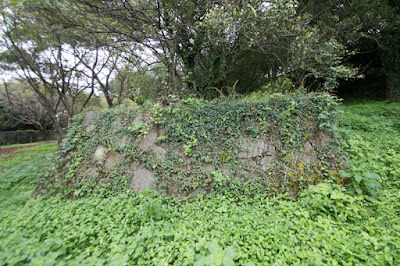 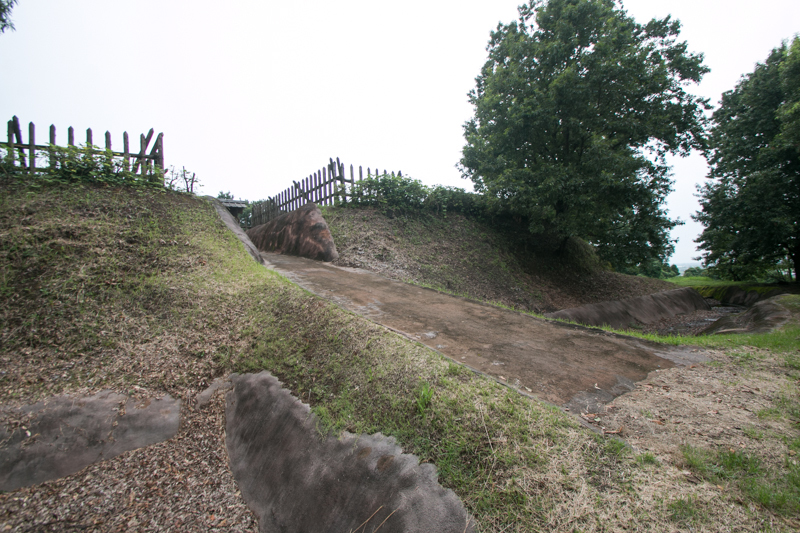 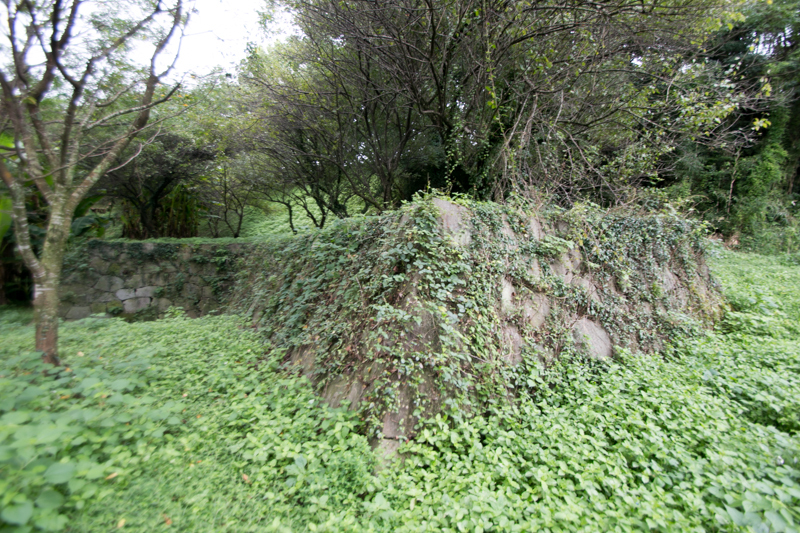 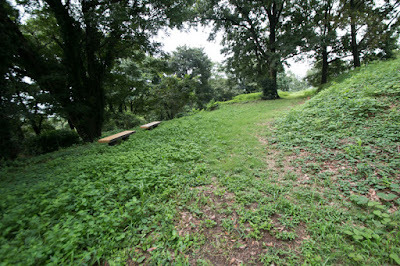 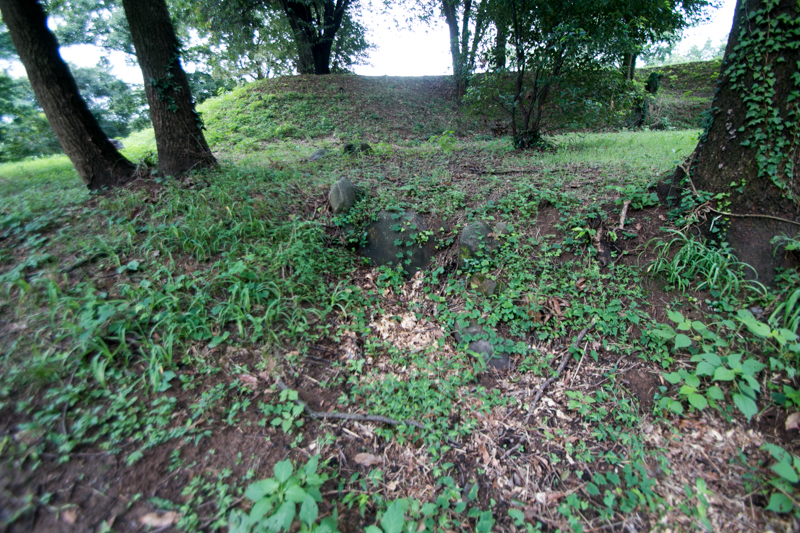 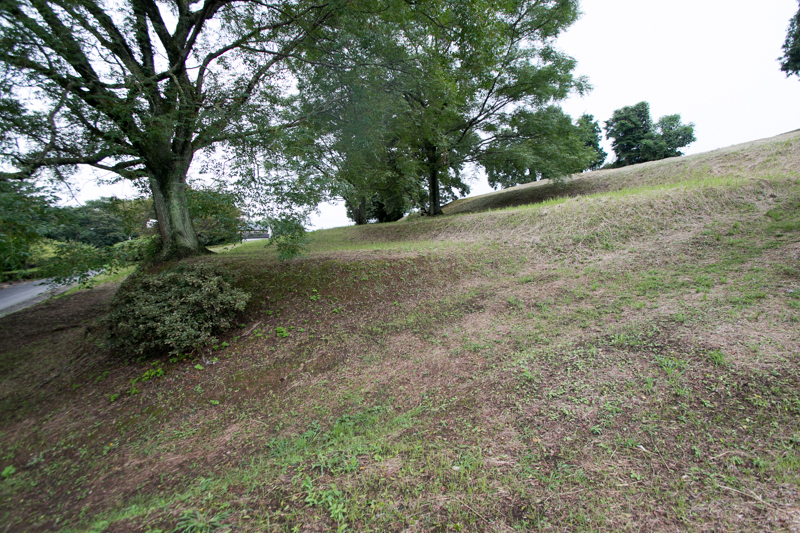 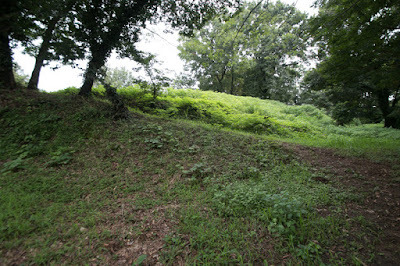 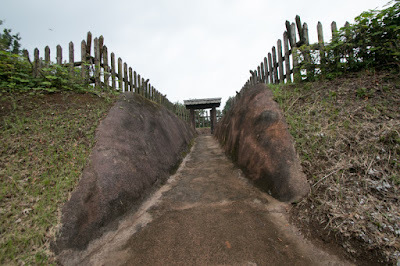 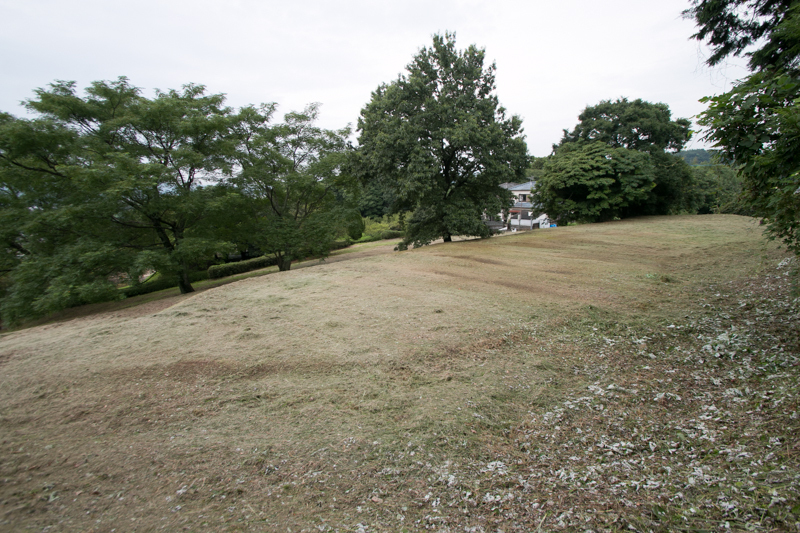 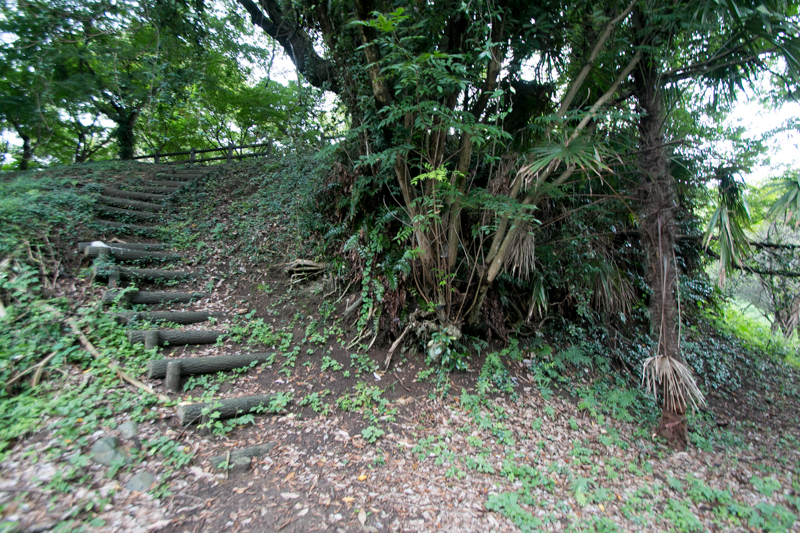 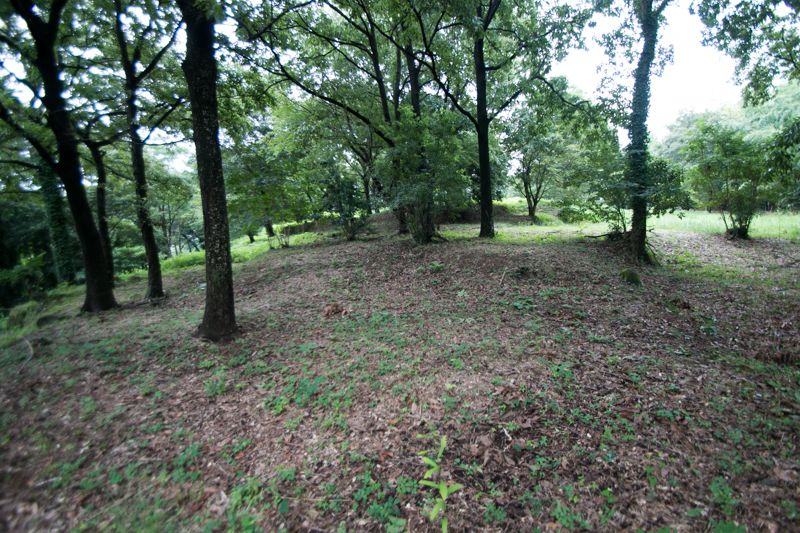 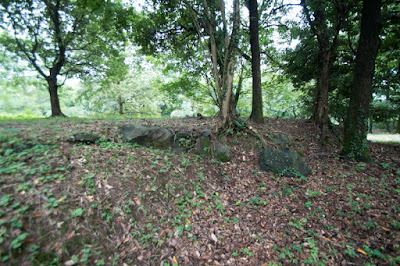 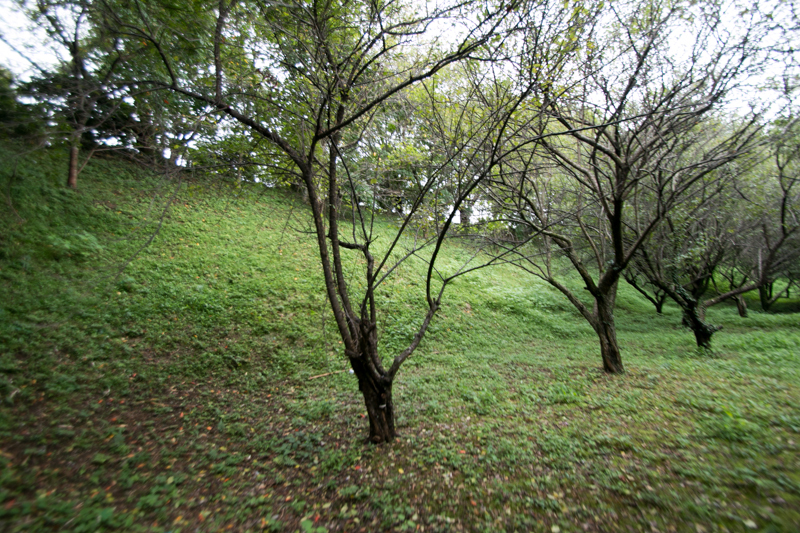 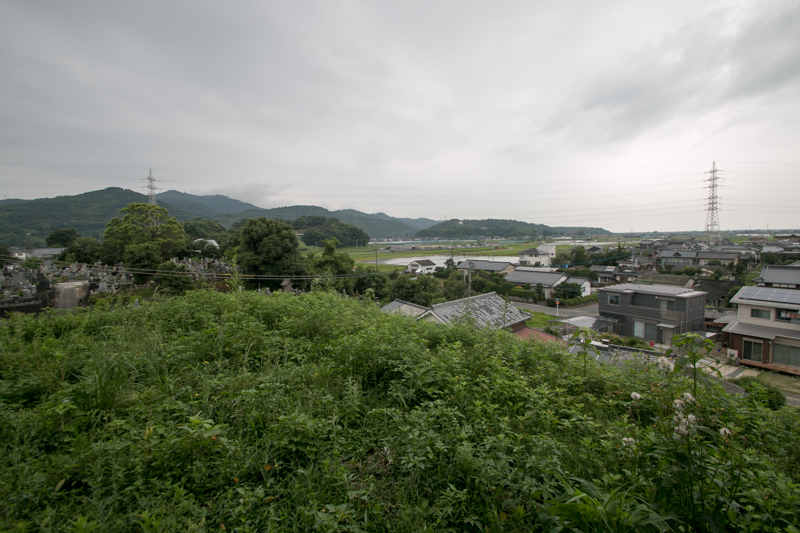 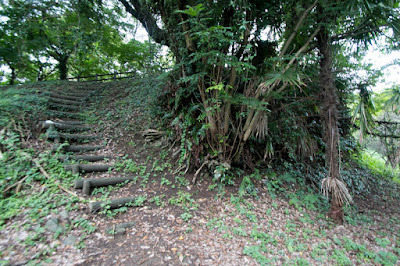 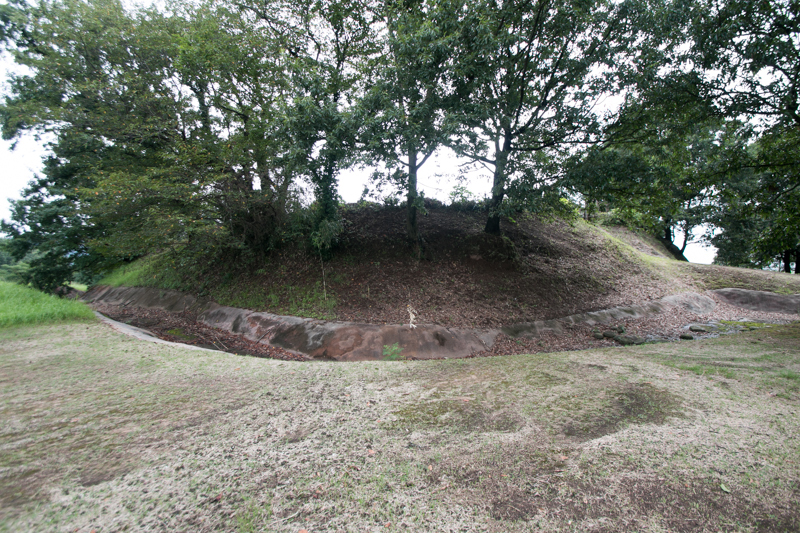 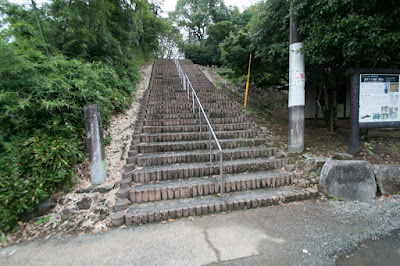 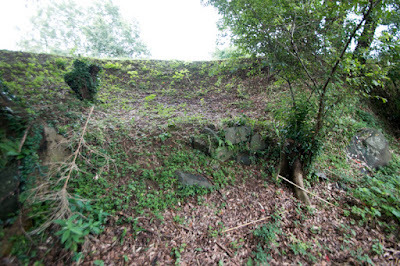 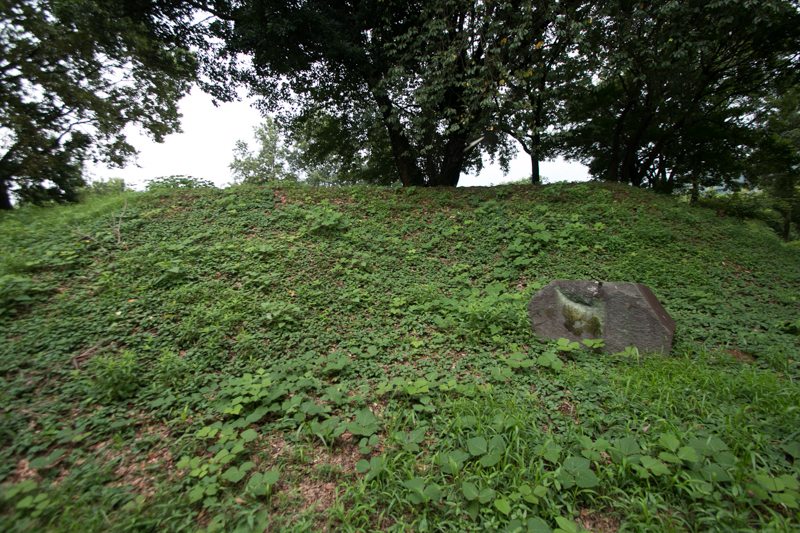 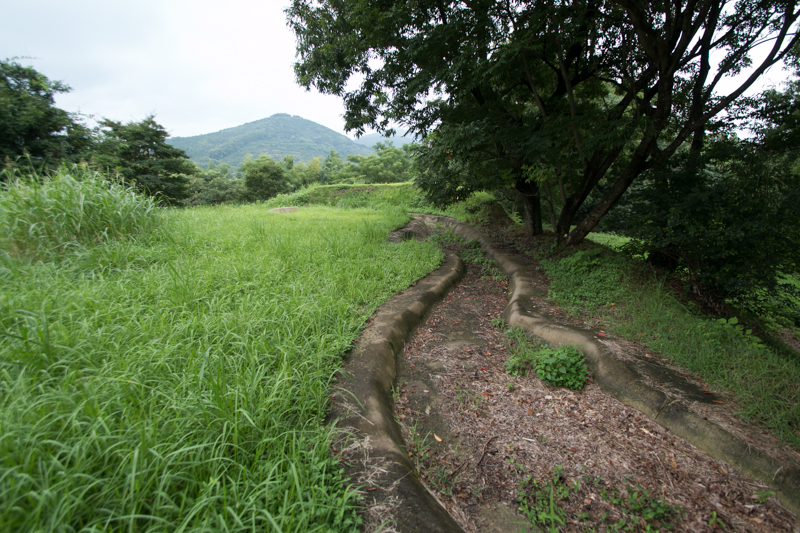 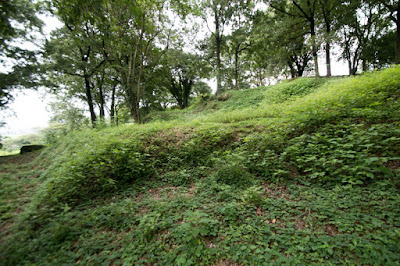 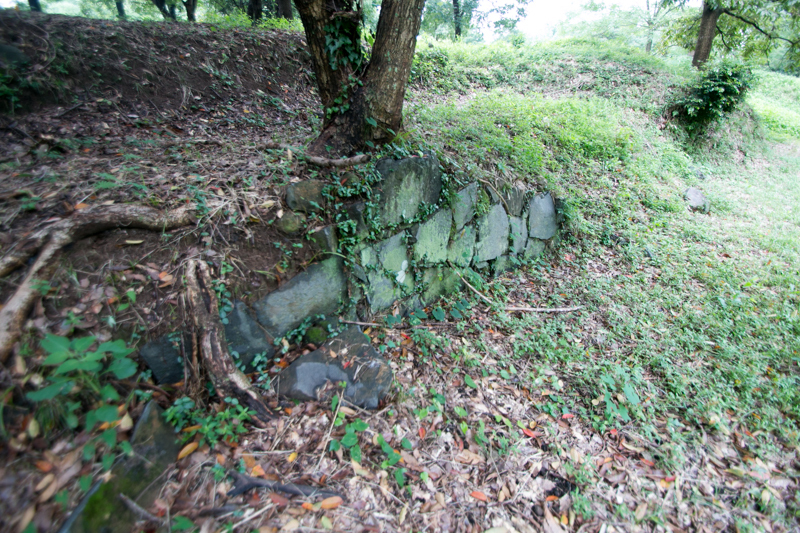 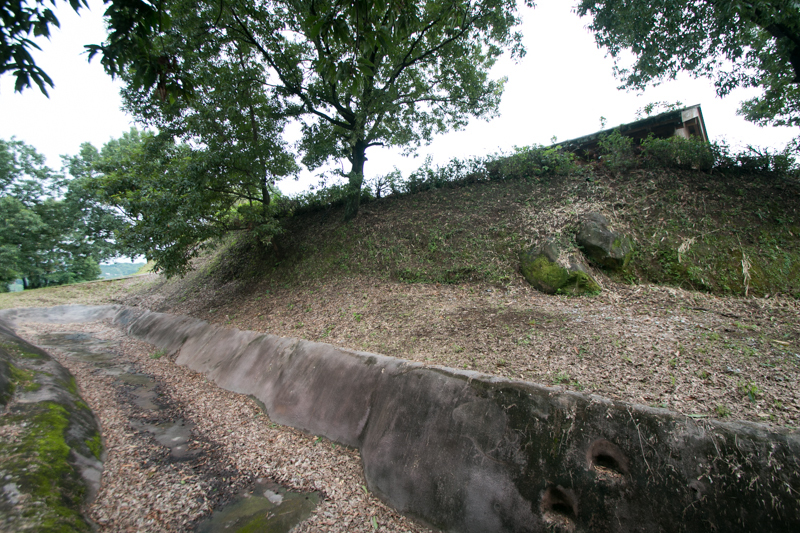 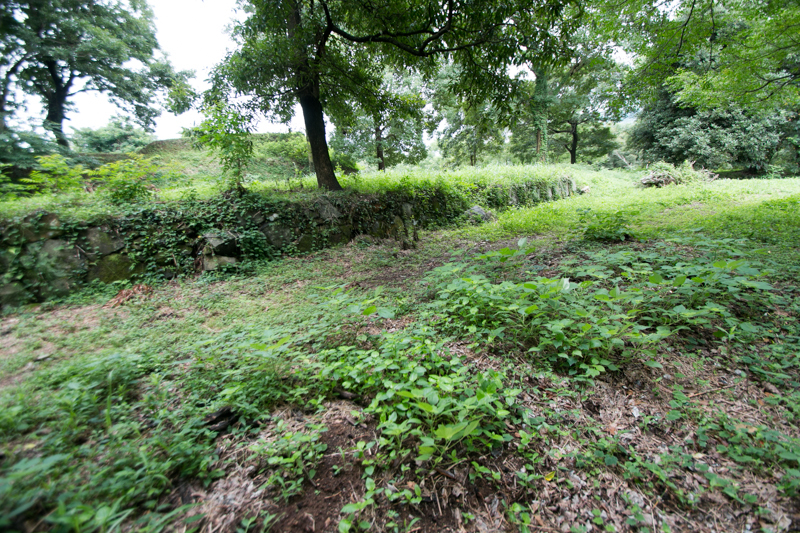 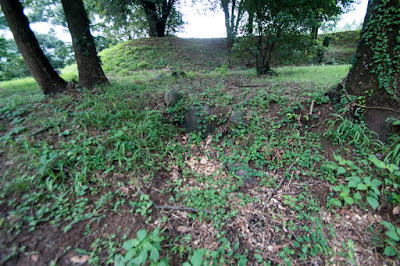 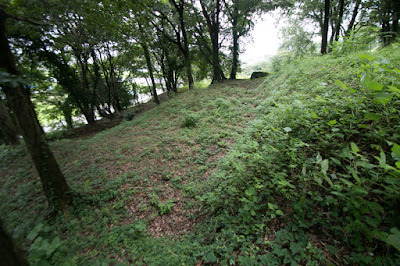 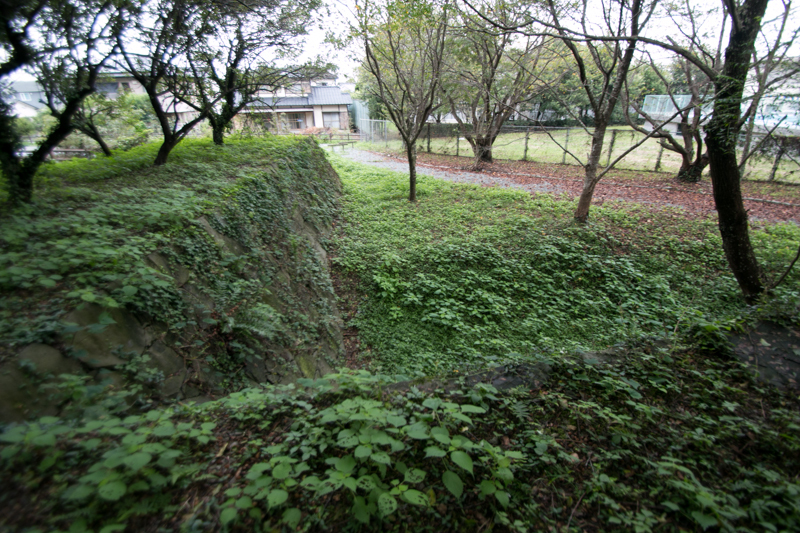 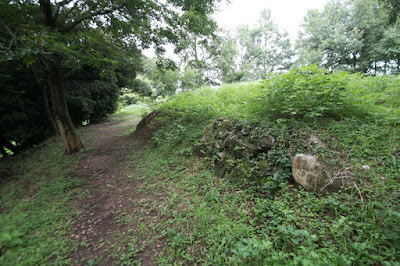 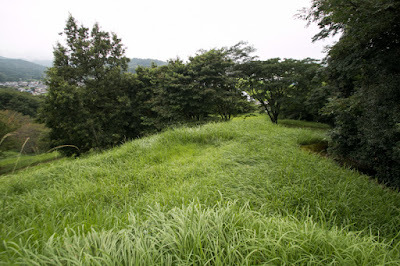 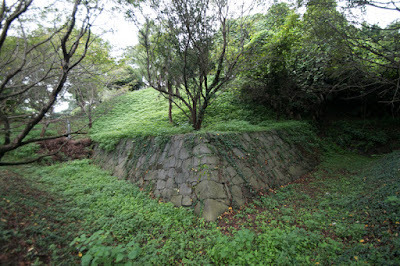 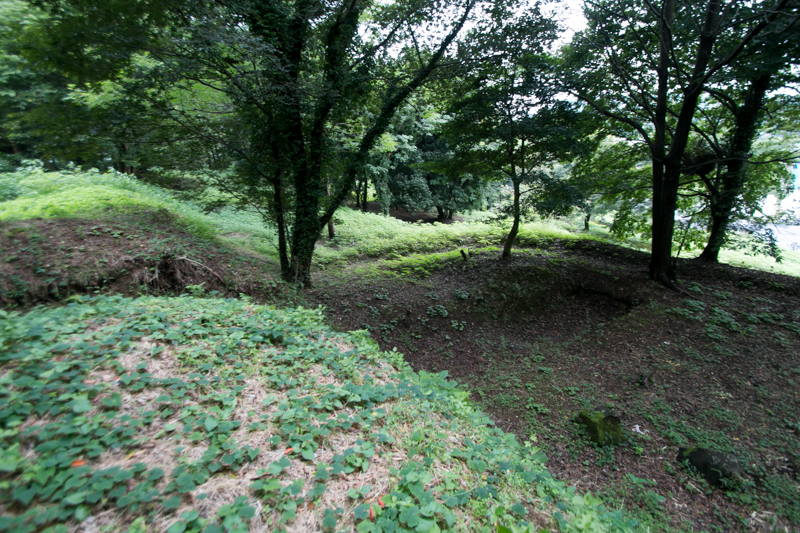 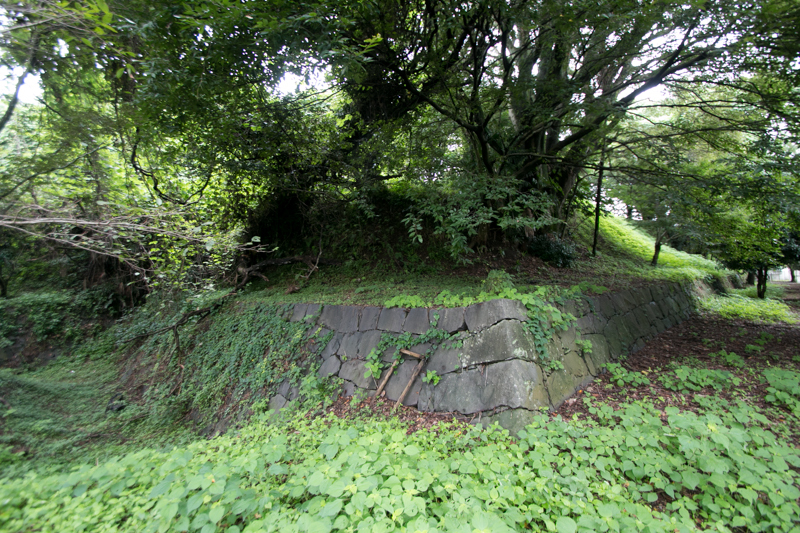 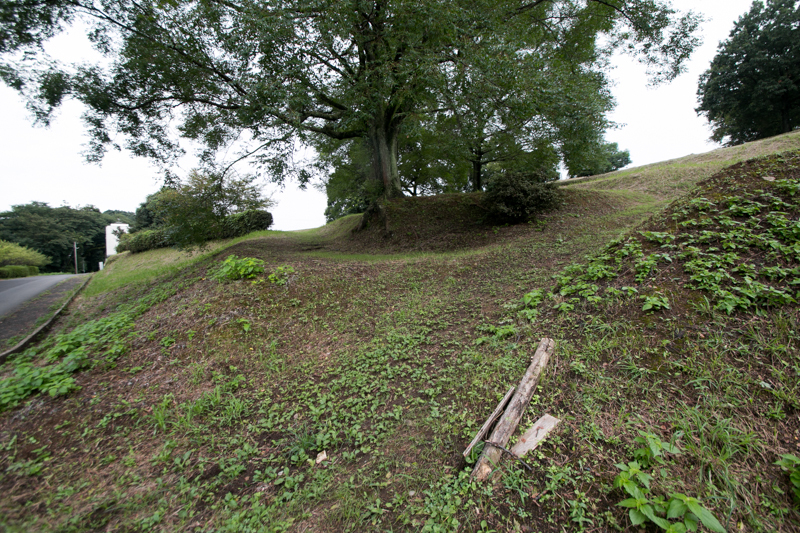 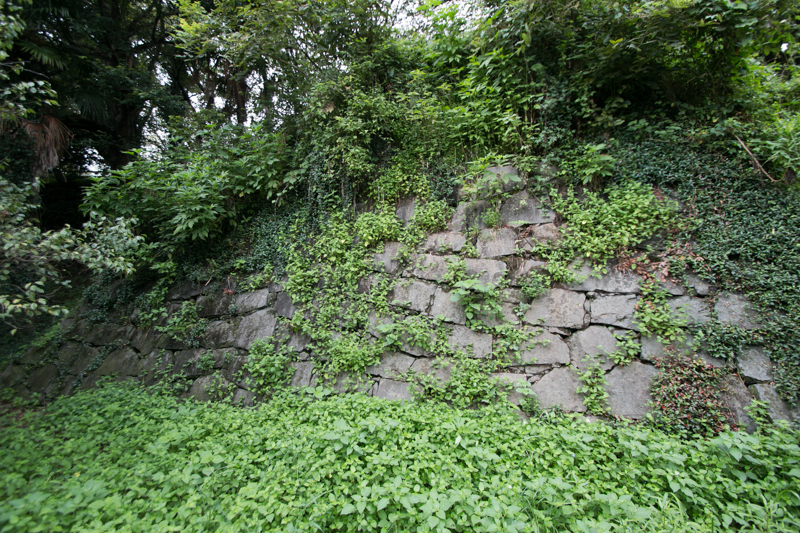 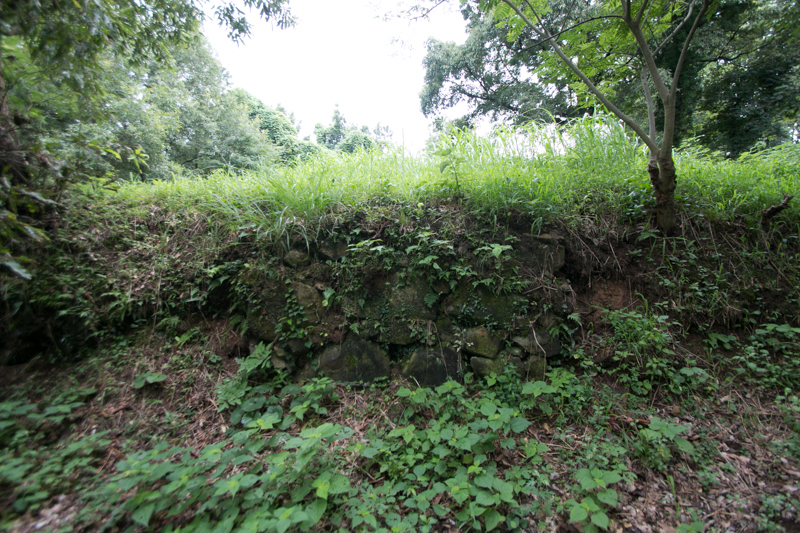 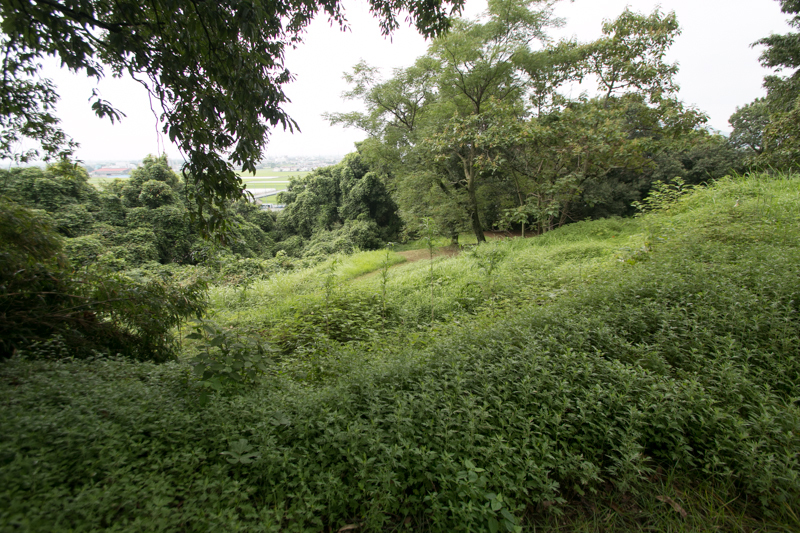 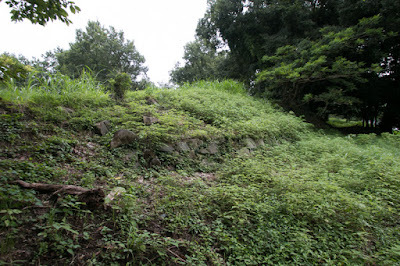 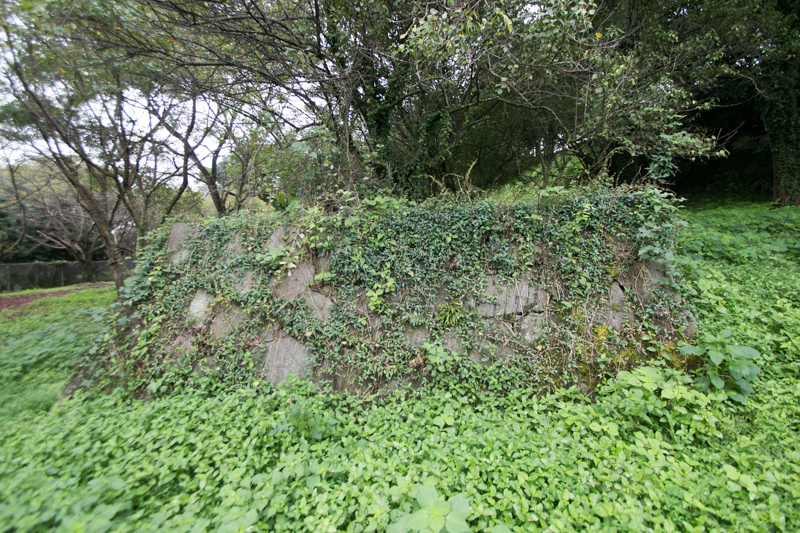 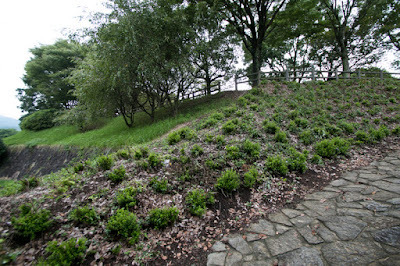 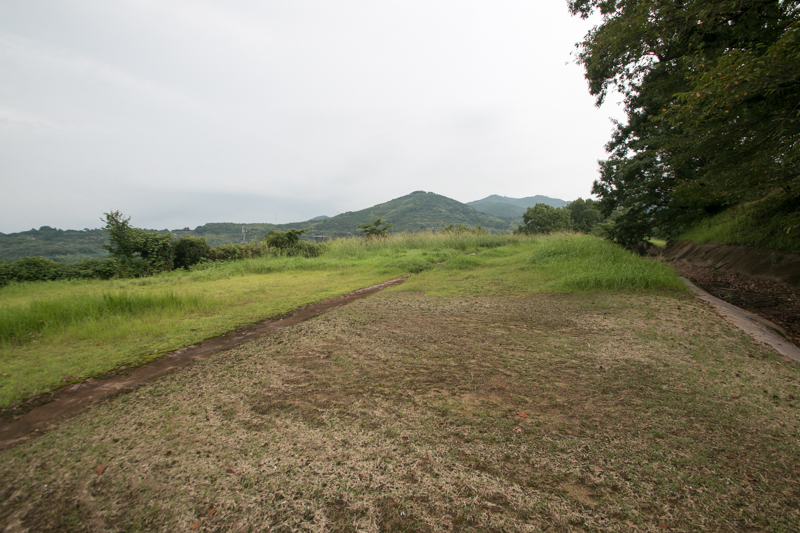 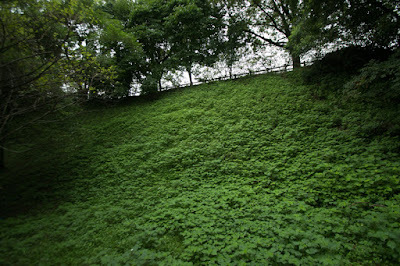 Ahead of saddle point, there was another peak called as Sanjyo and was used as a front fort. 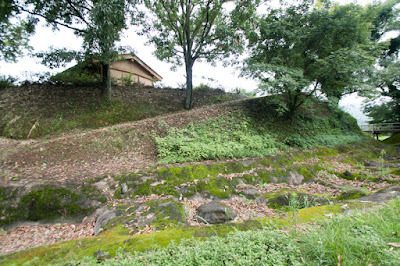 Numerous terraces were built surrounding two peaks from the top to the side of the hill, and at the west line of the hill which faces connecting hills a line of clay wall and dry moat was built. 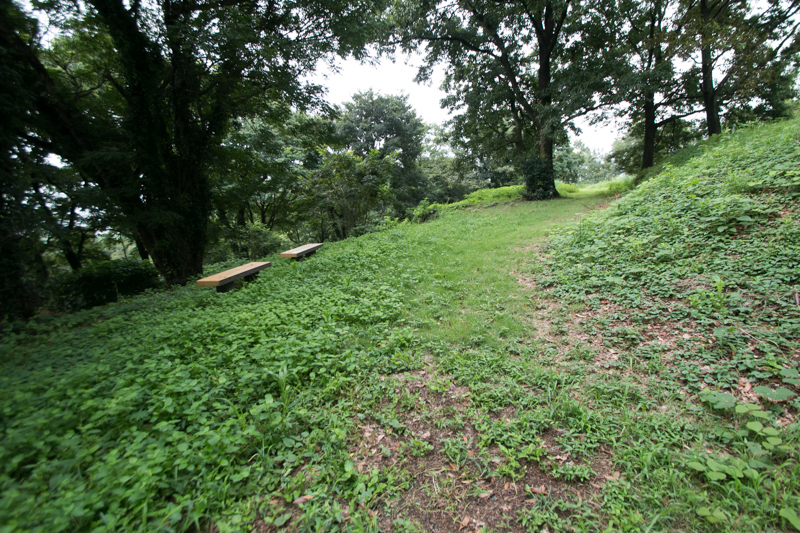 Main gate of the castle might exist at the south side of the hill, and formerly the north side of the hill was protected by wide march which was later reclaimed. Based on Uto castle Nawa clan regained their power and continued as a local lord, but at the time of Kyushu expedition by central ruler Hideyoshi Toyotomi (1537-1598) in 1587, Nawa clan lost their territory and became the retainer of Kobayakawa clan. 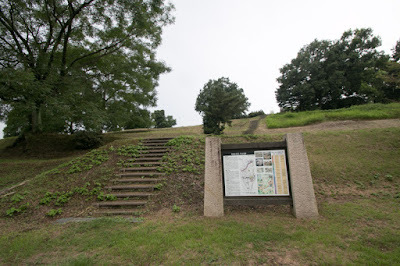 Hideyoshi who suppressed large size rebellion of local lords occurred in 1588 gave the north part of the province to Kiyomasa Kato (1562-1611) and also south part of the province including Uto area to Yukinaga Konishi (1555-1600). Yukinaga was the son of Ryusa Konishi (?-1592) who was a large scale merchant at Sakai city treated traditional medicine. 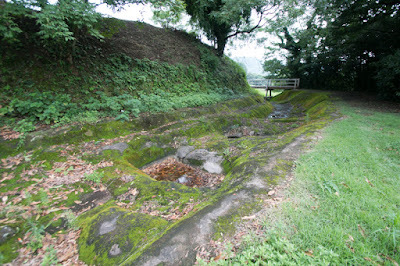 Ryusa was a eager Christian and contributed the spread of Catholic around Kinki region by his connection and wealth. 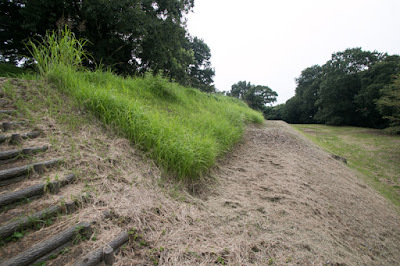 Ryusa also had a relationship with central ruler Nobunaga Oda (1534-1582). 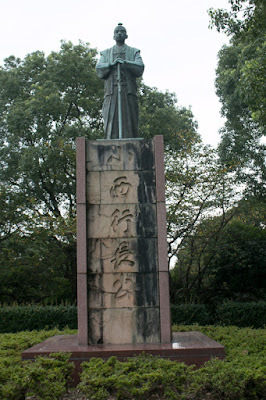 Being effected by his father, Yukinaga also became Christian and named as Augustine. As Yukinaga was second son, Yukinaga sent to the merchant of Bizen prefecture (Okayama prefecture) as an adopted son, to learn business and expand the trade of his family. Yukinaga was evaluated his talent by Naoie Ukita (1529-1582) who united Bizen province by his intelligence and plot, then became a retainer of Naoie. 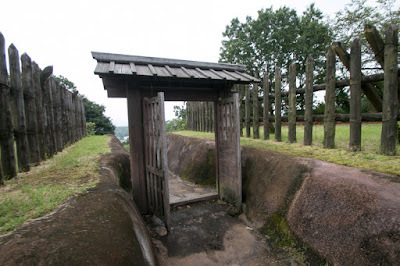 In 1579 Naoie planned to change his master from Mouri clan to Oda clan, and sent Yukinaga who had the relationship with Nobunaga to Hideyoshi Hashiba (1537-1598, later Hideyoshi Toyotomi) who was still a regional commander of Nobunaga. 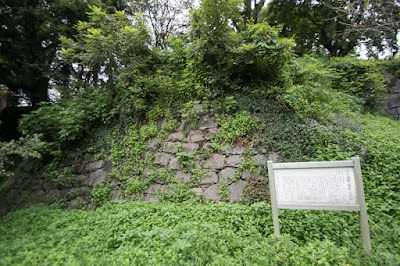 The negotiation between Hideyoshi and Naoie settled and Ukita clan supported the dominance of Hideyoshi against Mouri clan. 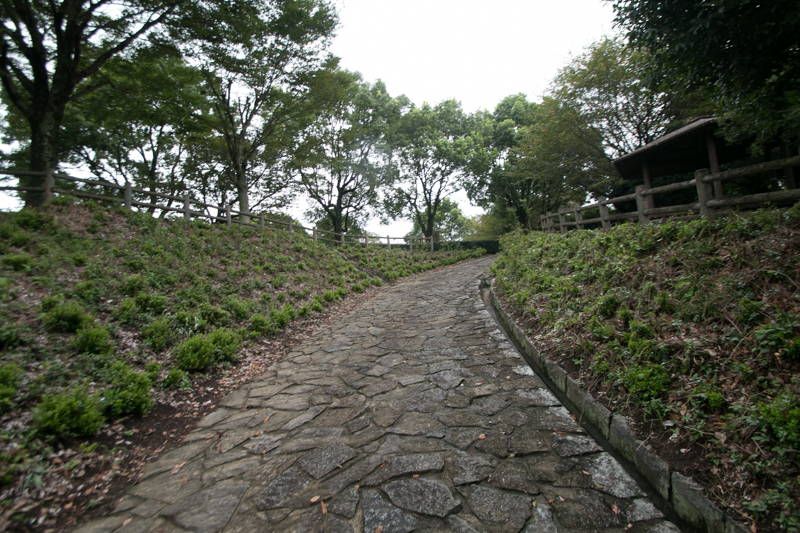 Hideyoshi also highly evaluated the talent of Yukinaga, and recruited him as his direct retainer. As Yukinaga was familiar to marine transportation because of his origin, Hideyoshi let his fleet to Yukinaga and ordered to transport supplies. At the death of Nobunaga in 1582 at the incident of Honnoji which was a coup d'etat against Nobunaga by his another regional commander Mitsuhide Akechi (1528-1582), Hideyoshi who faced Mouri army at Bicchu Takamatsu castle (Okayama prefecture) quickly returned to Kinki region with large army and made a revenge of his master against Mitsuhide at the battle of Yamazaki. 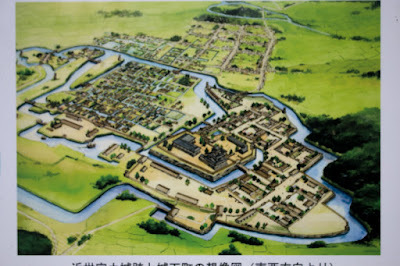 At this time Hideyoshi and his army moved over 200 kilometer in 10 days, and Yukinaga's fleet might contribute to this movement. Hideyoshi who became the next ruler of Nobunaga continuously trusted Yukinaga. 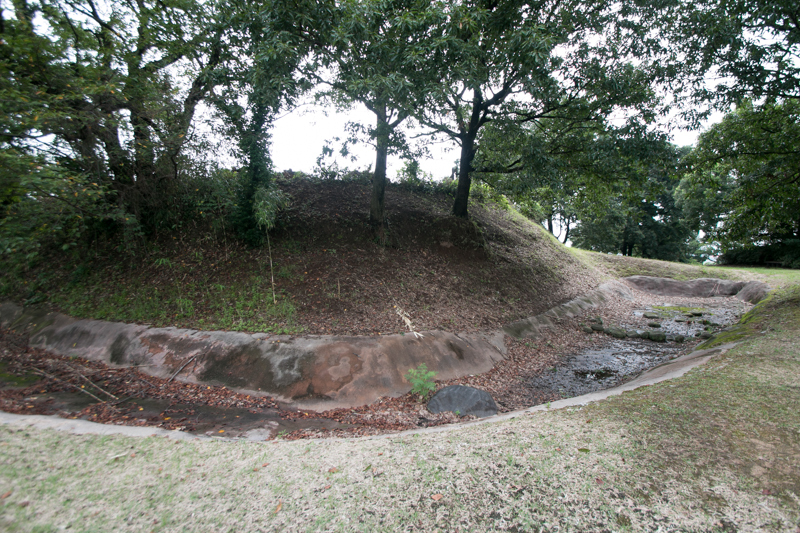 When Hideyoshi attacked Ikko Ikki party besieged at Ota castle of Kii province (Wakayama prefecture), Hideyoshi adopted flood attack, dammed up the river and made a large pond around the castle. Yukinaga brought his warship to this pond and fired the castle by cannons, and let the moral of defense side decrease. 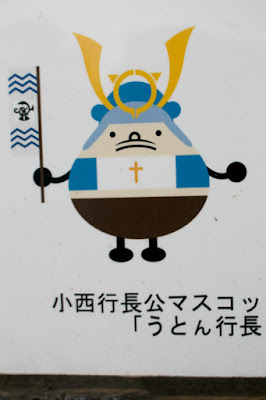 Catholic missionary stayed at Japan recorded Yukinaga as a naval commander of Hideyoshi. 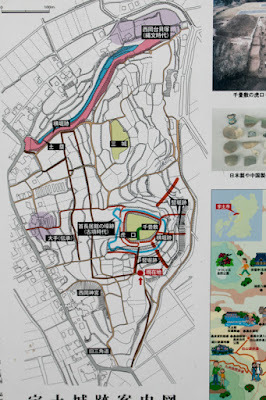 After the end of Kyushu expedition, Hideyoshi exceptionally promoted Yukinaga as a lord of half part of Higo province. 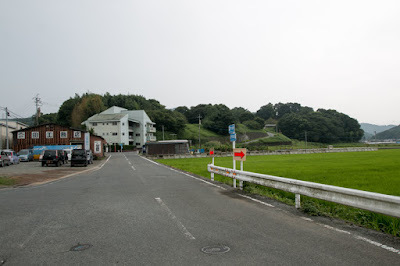 As above Uto area was the center of maritime communication at western coast of Kyushu island, and also had many non obedient marine people around vast Amakusa islands. Hideyoshi expected Yukinaga to organize these maritime people as his naval force for upcoming foreign expedition, and also became the partner of foreign trade, looking at commercial talent and braveness of Yukinaga. 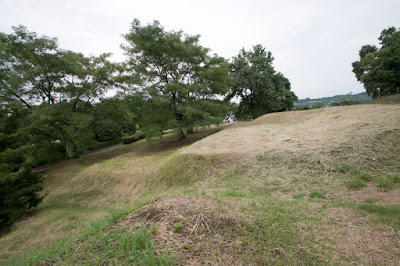 Yukinaga who entered Uto area at first used old Uto castle, but old Uto castle had a traditional form not suitable at gun firing battle, and there was no room to build large castle town. Yukinaga chose another hill at the next of old castle and built a modern Uto castle surrounded by water moats. 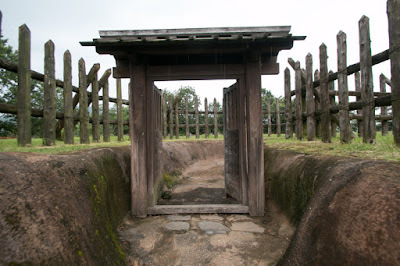 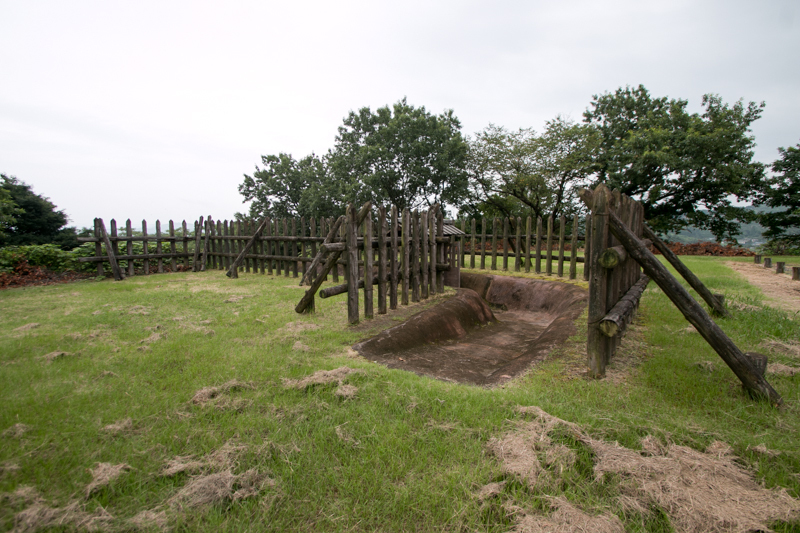 The central area of Uto castle is a 100 meter long square shaped area. Each line of the square is clearly shaped as a straight line and was surrounded by tall stone walls. 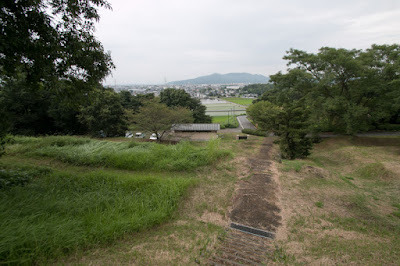 It is said that there was a three story main tower in this central area, and it is also said this main tower was later moved to Kumamoto castle then became remaining Uto turret. 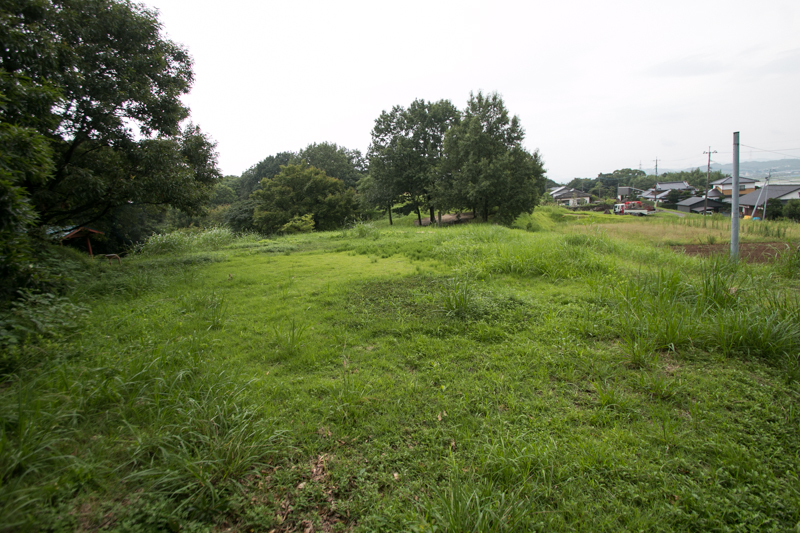 But as a result of investigation, this story is denied now. 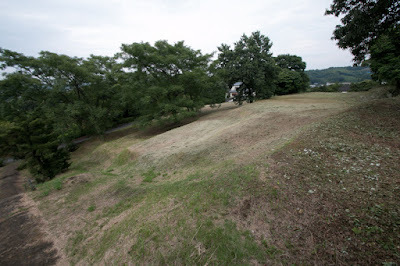 From westward to southward and eastward of central area, secondary area protected the backside of the castle. 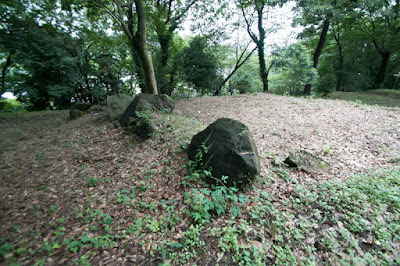 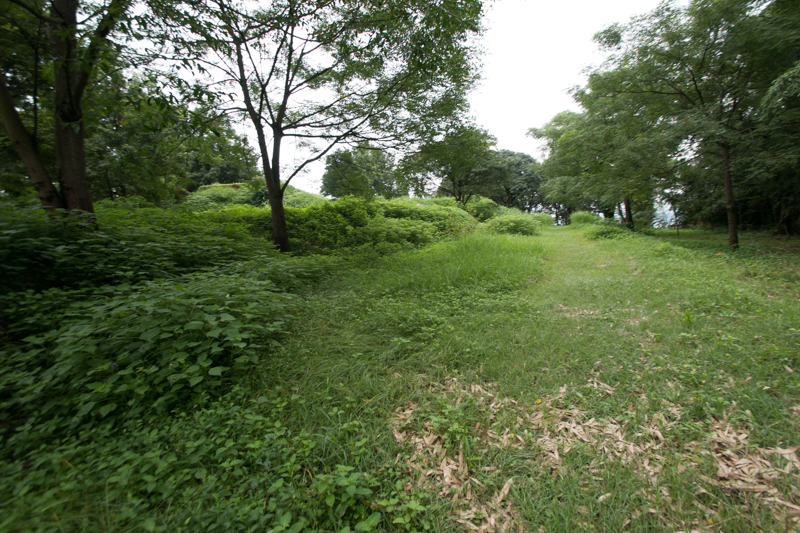 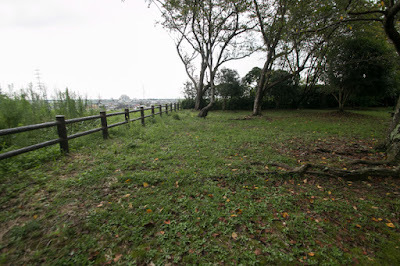 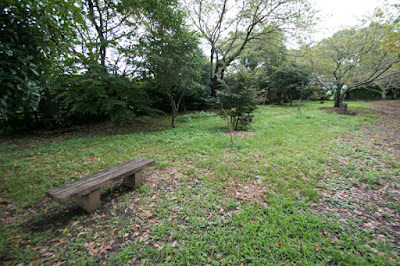 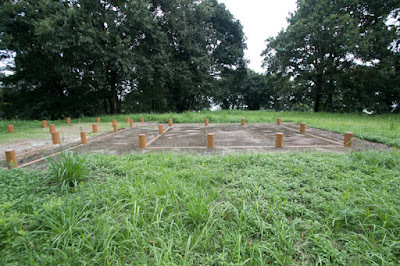 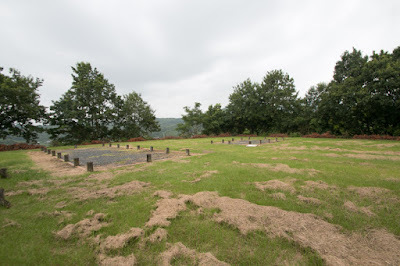 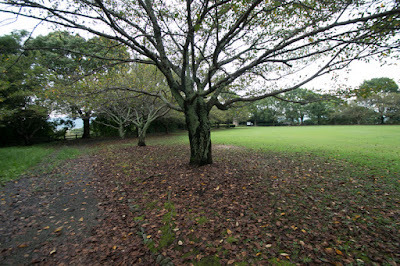 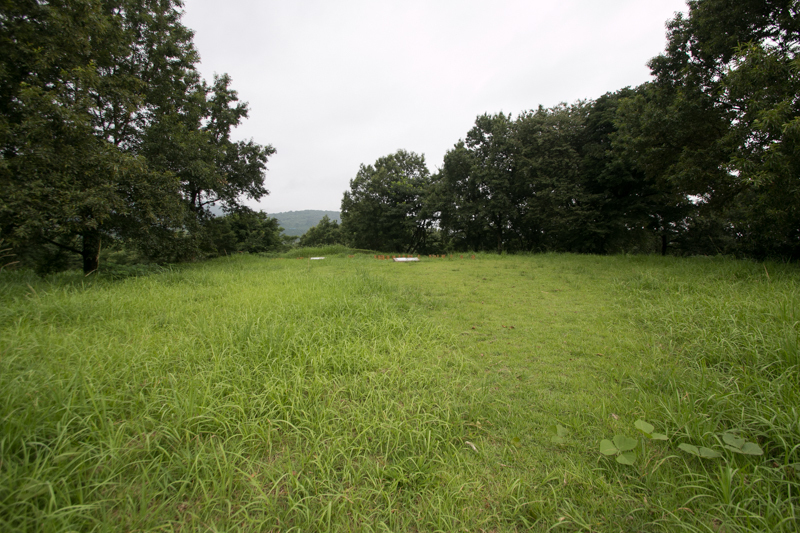 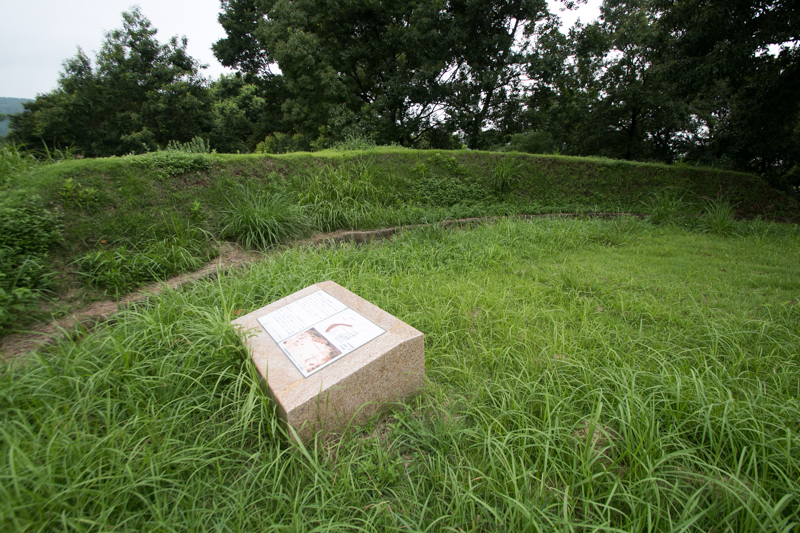 At northward, in front of central area, there was a third area which was used as a residence of high class retainers. 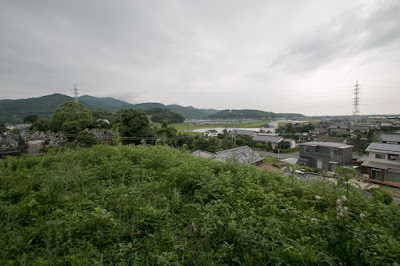 Total size of the castle was about 500 meter long and 800 meter long, and a castle town spreads northeast direction from the castle to Midorigawa river. 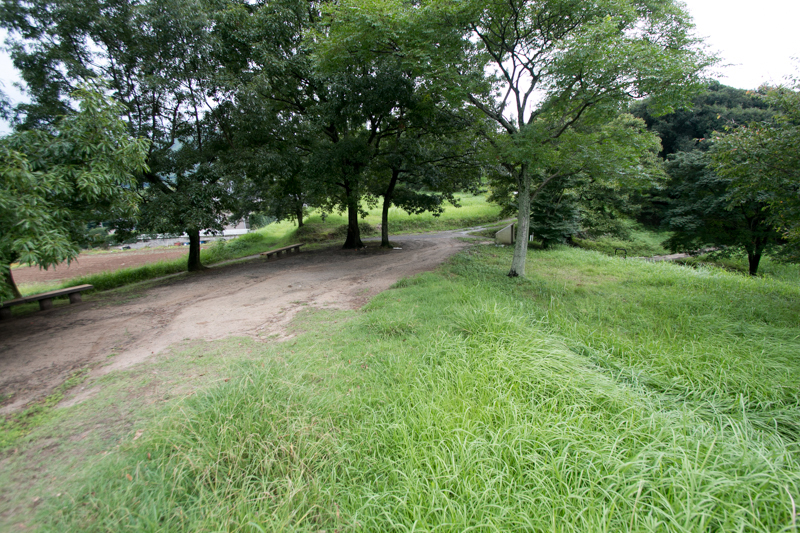 There was a river port at the edge of the castle thus Uto castle directly connected to Ariake sea, and it was suitable as a residence of naval commander of Toyotomi clan. Yukinaga settled turbulent situation of Higo province in cooperation with Kiyomasa Kato who became the lord of Kumamoto castle. 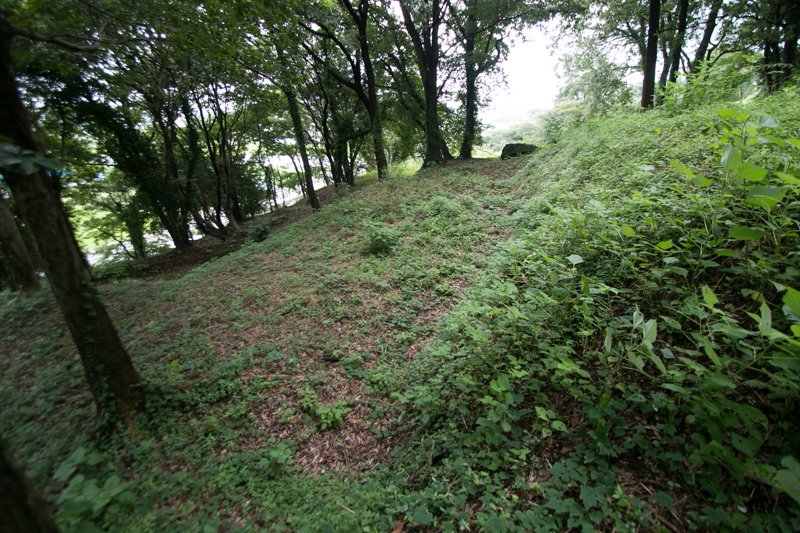 Yukinaga also built Mugishima castle at Yatsushiro city which was another important port of Higo province, and improved trade around this area. 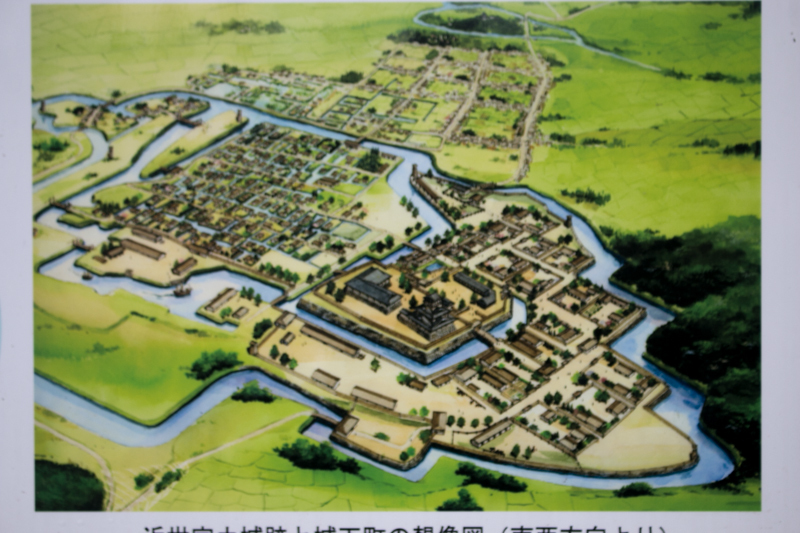 If Toyotomi government continued long time, Yukinaga lead foreign trade with his fleet and might become the leader of Chartered company equivalent to British or Dutch East Asian company. 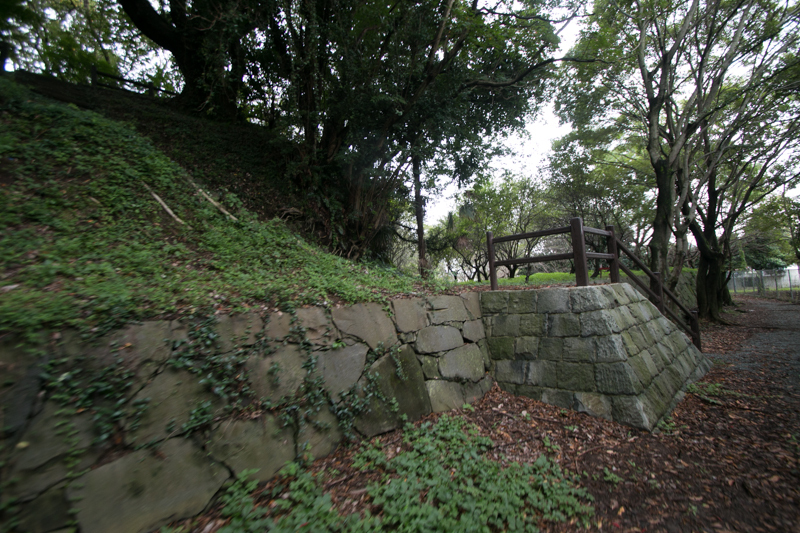 At foreign operation in 1590's, Yukinaga became the vanguard along with Kiyomasa Kato and bravely fought. 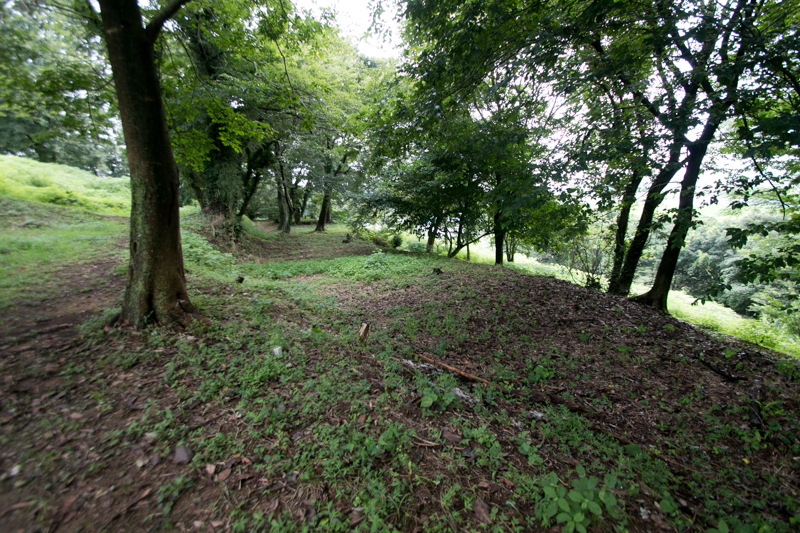 But as a descendant of merchant, Yukinaga tried realistic settlement and confronted with Kiyomasa who pursued tactical victory as a native commander. Both of Yukinaga and Kiyomasa had good talent of tactics and administration, but they became like cats and dogs then Kiyomasa blamed Yukinaga as a coward. After the death of Hideyoshi in 1598, Ieyasu Tokugawa (1543-1616), the largest lord under Toyotomi government, started his action aiming at next hegemony, and Mitsunari Ishida (1560-1600), the chief administrative staff of Hideyoshi, tried to stop the movement of Ieyasu. 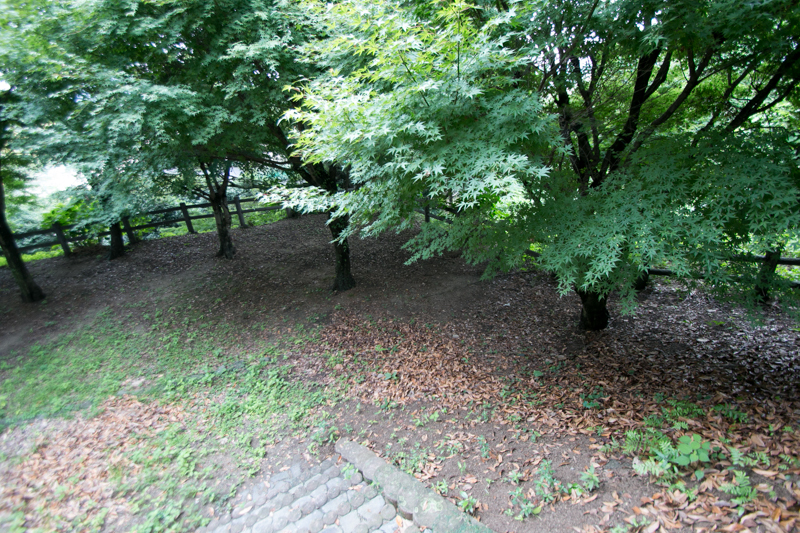 Yukinaga belongs to Mitsunari,. 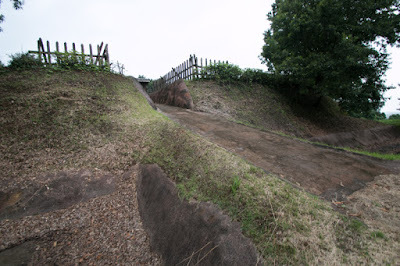 Yukinaga was originally close to Mitsunari who grasped economy of Toyotomi government, and his rival Kiyomasa clearly hated Mitsunari and supported Ieyasu. 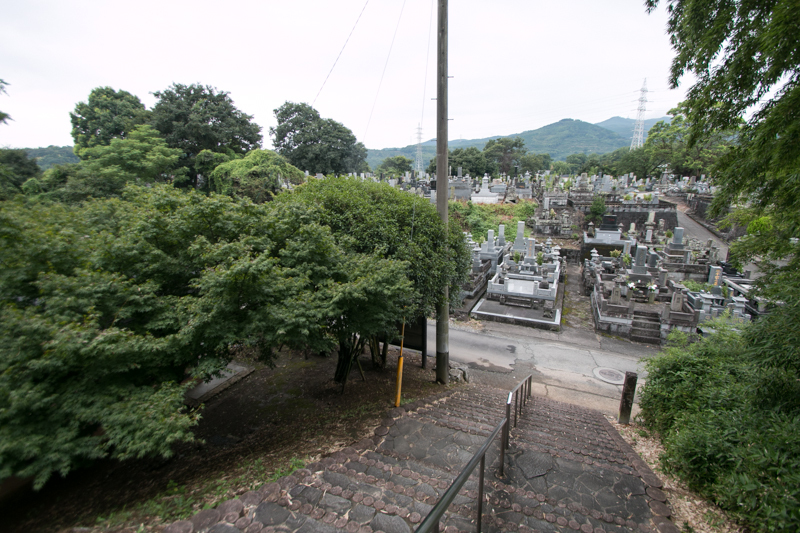 In addition to this, Ieyasu had a physiocrat character and not so interested in foreign trade, thus Yukinaga might think there was no room to activate under Ieyasu. 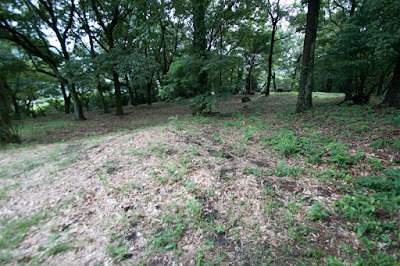 At the decisive battle of Sekigahara in 1600 between Ieyasu and Mitsunari, Yukinaga bravely fought as main force of Ishida army. 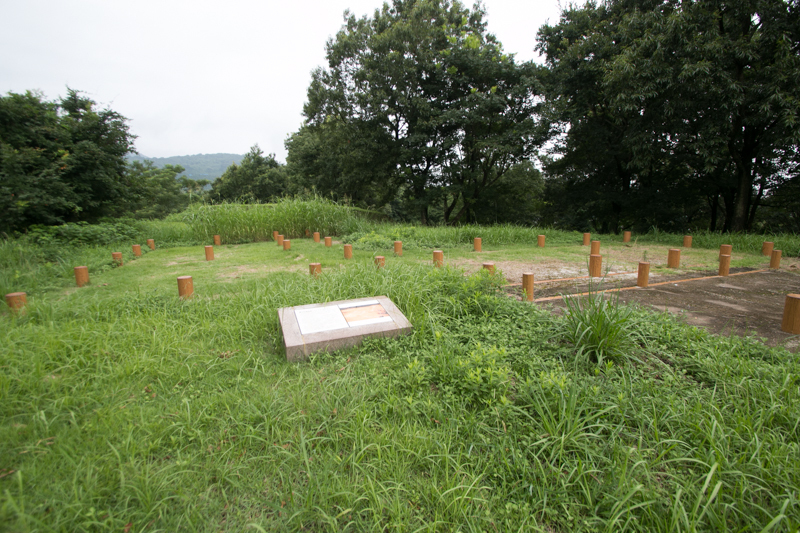 But because of standing of Mouri army and betrayal of Hideaki Kobayakawa (1577-1602), Ishida army was totally defeated by Ieyasu. 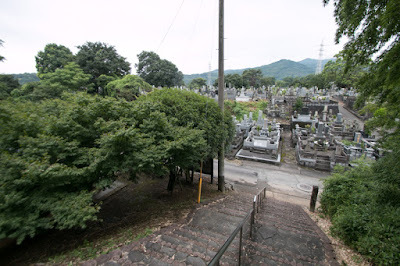 Yukinaga left the battlefield but was found, and as a Christian Yukinaga refused recommendation of honorable suicide then was executed along with Mitsunari at Kyoto city. At the same time, Kiyomasa who stayed at his territory as a restraint against Ishida side lord attacked vacant Uto castle with large army. 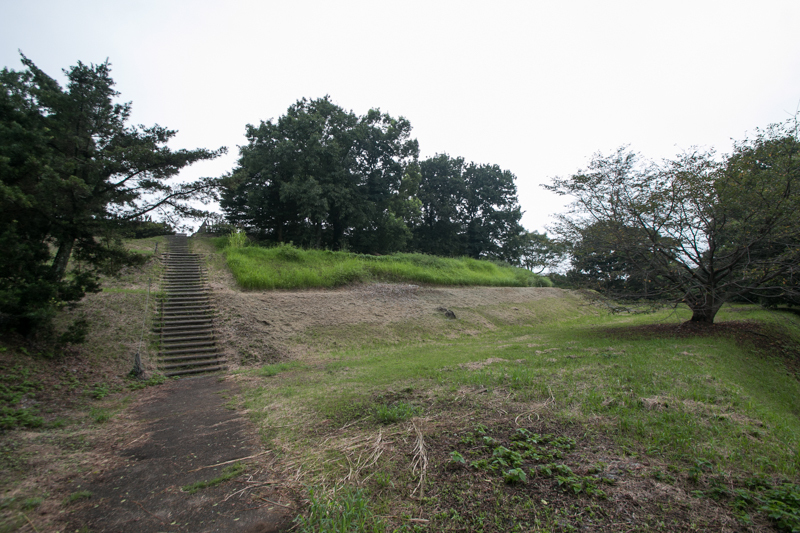 Yukikage Konishi (?-1600, the younger brother of Yukinaga and deputy commander of Uto castle, stood the siege of Kiyomasa over two months. But finally the defeat and death of Yukinaga was informed, then Yukikage opened Uto castle under condition of his death. 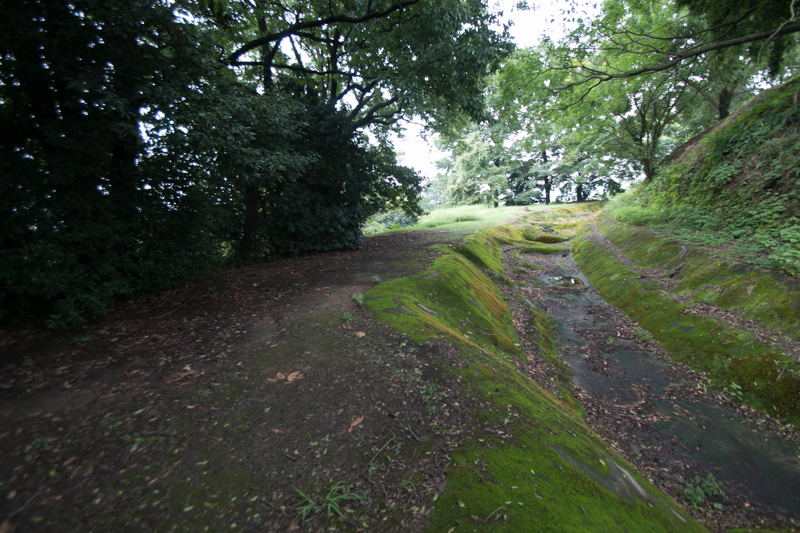 After the fall of Konishi clan, Kiyomasa became the lord of whole part of Higo province including Uto castle. 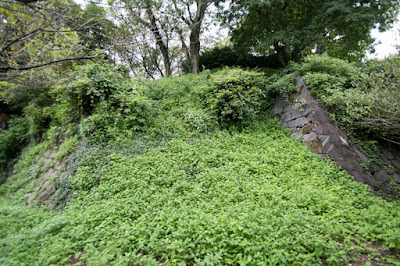 Kiyomasa kept Uto castle as a branch castle along with Mugishima castle or Sashiki castle, and intended to use Uto castle as his retirement place. 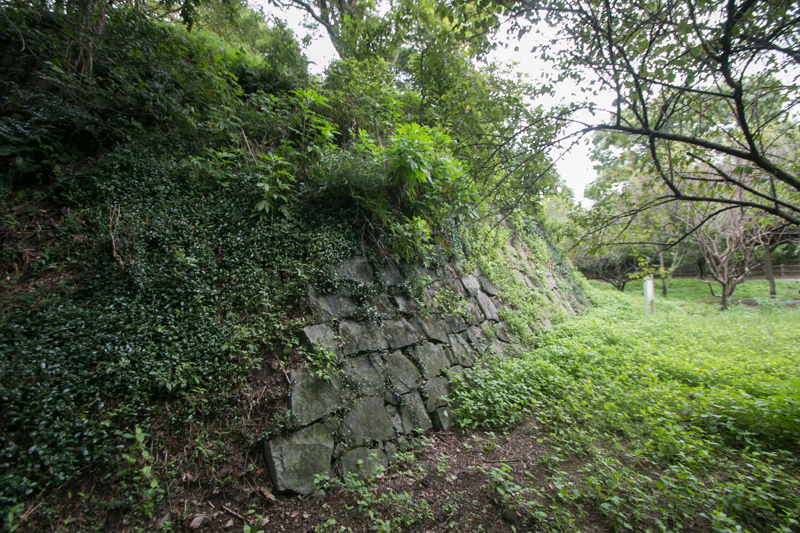 Kiyomasa significantly improved damaged Uto castle, newly built tall stone walls and built large buildings. But after the death of Kiyomasa, Edo Shogunate ordered Kato clan to abolish and break Uto castle. 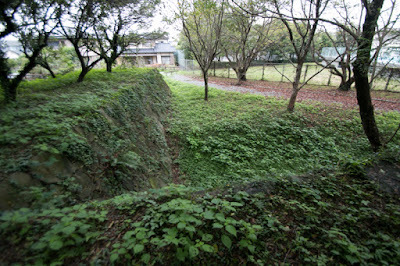 Further in 1637, after the cease of the rebellion of Shimabara which was lead by former retainers of Konishi clan, Edo Shogunate ordered Hosokawa clan which became the lord of Higo province to thoroughly destruct Uto castle, to erase the memory of Konishi clan and Catholic and prevent reuse of castle ruins. 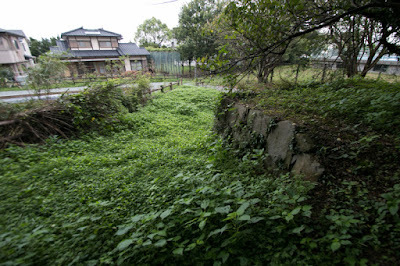 Stone walls of the castle was completely ruined and moats surrounded the castle was totally reclaimed. 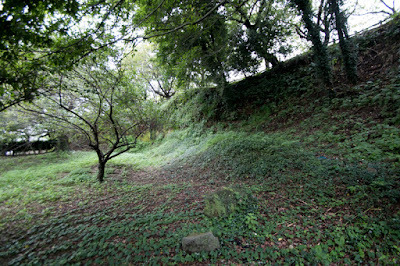 Now former castle remains as small hill but there was no ruin except for small part of stone wall. 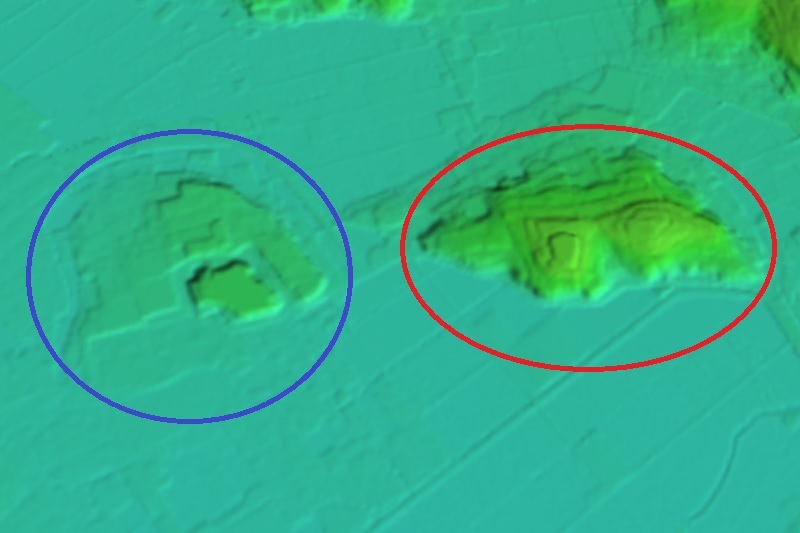 But in spite of destruction, small undulation of terrain around the castle still shows the trace of former splendid Uto castle. Combination of old and new style castles well displays the history of improvement of Japanese castles, along with unchanged importance of Uto area. 30 minutes walk from JR Kyushu Kagoshima-Honsen line Uto station. 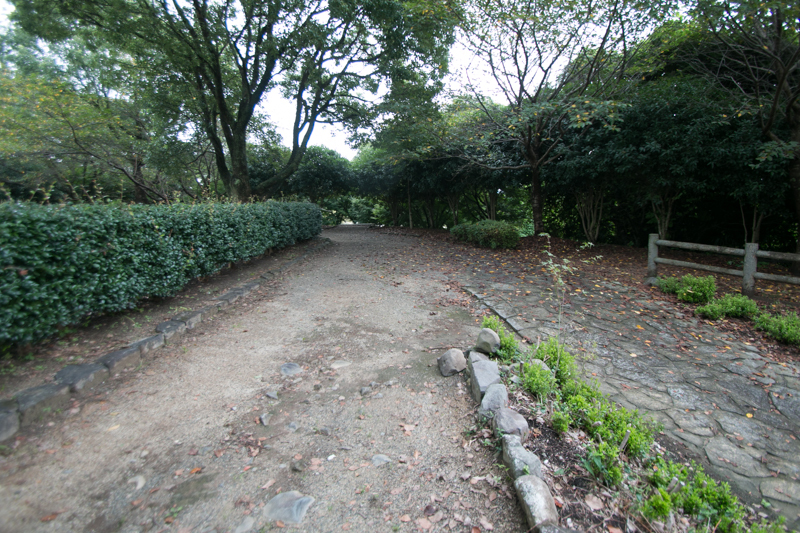 15 minutes drive from Kyushu Jidoshado Expressway Matsubase interchange.